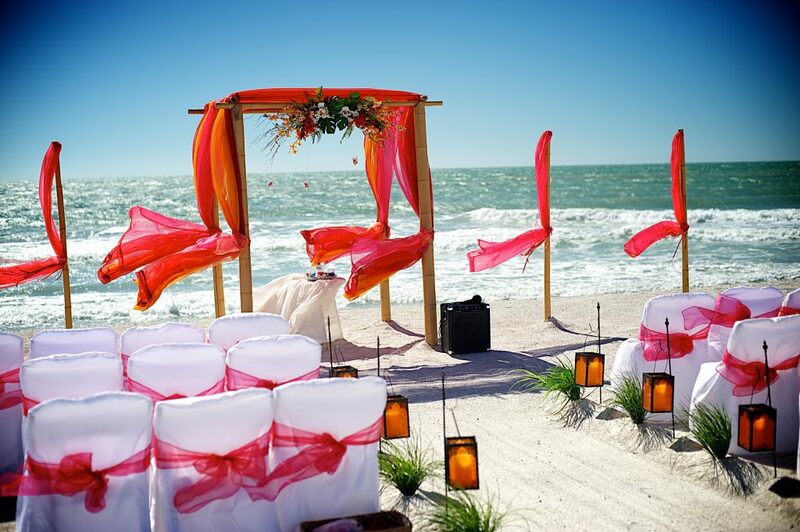 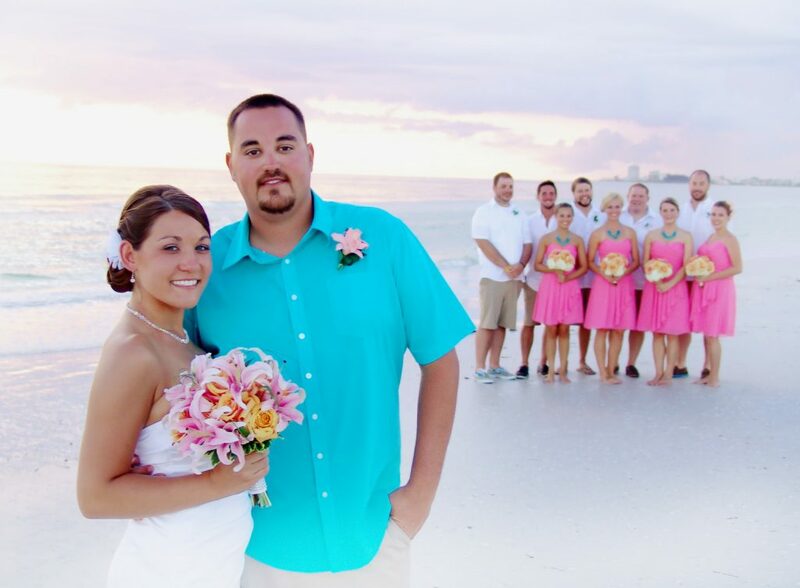 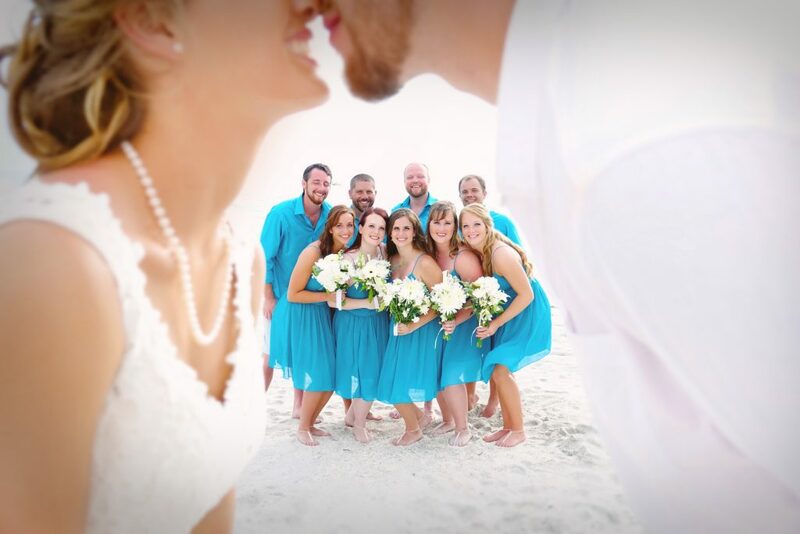 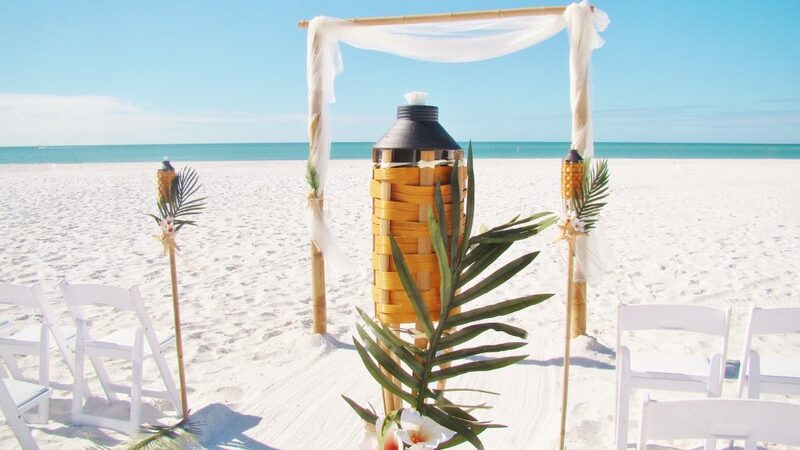 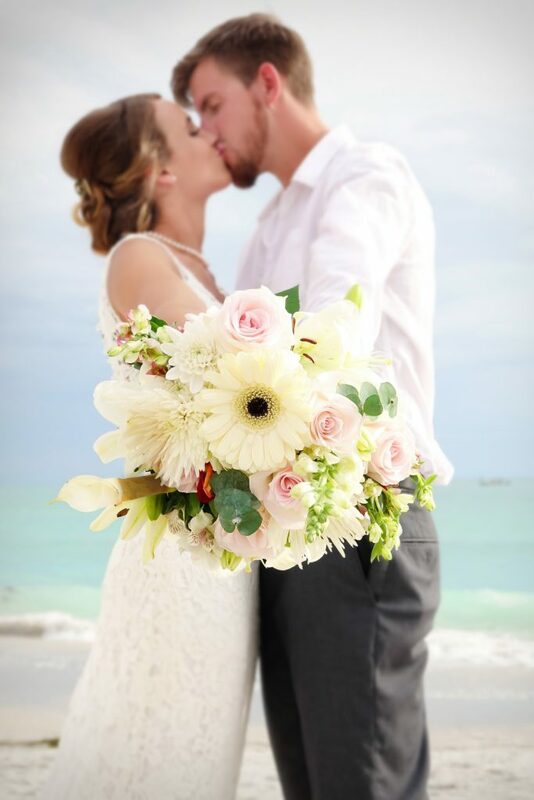 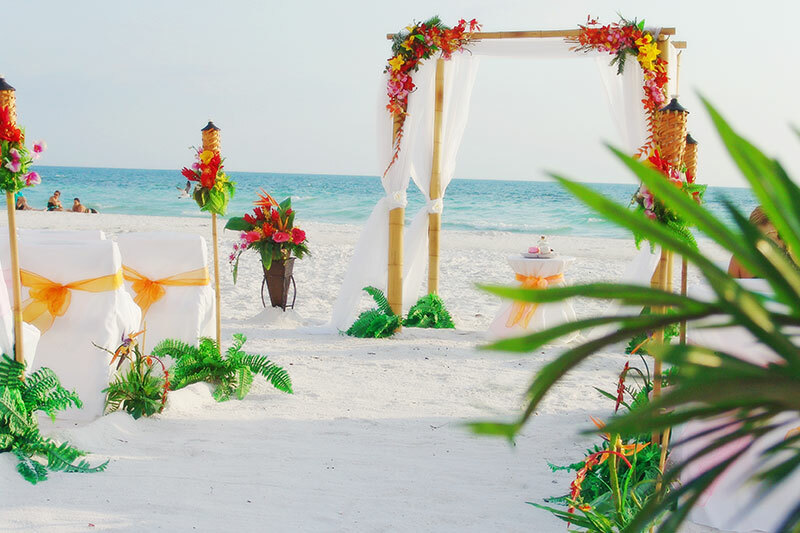 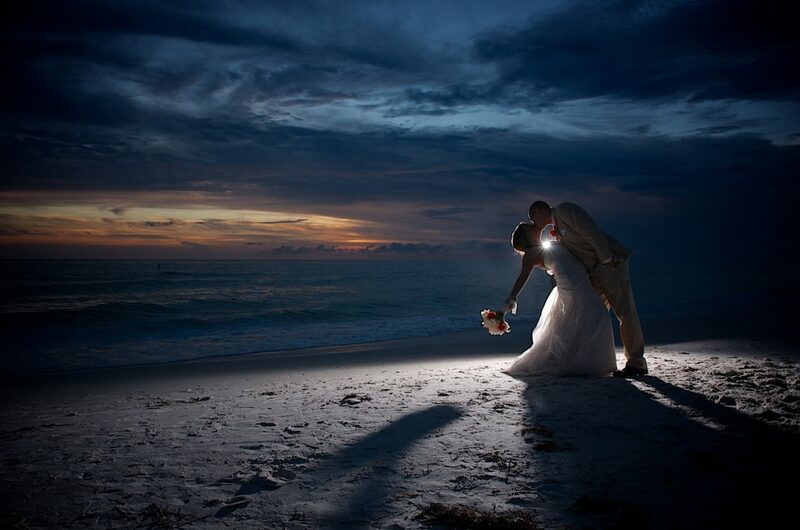 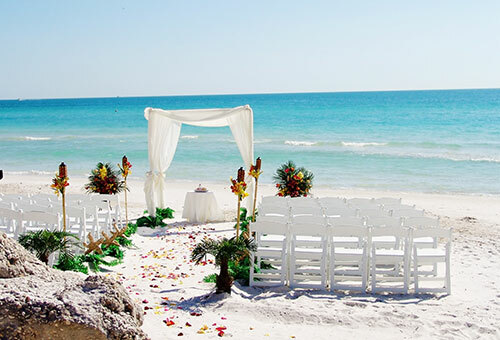 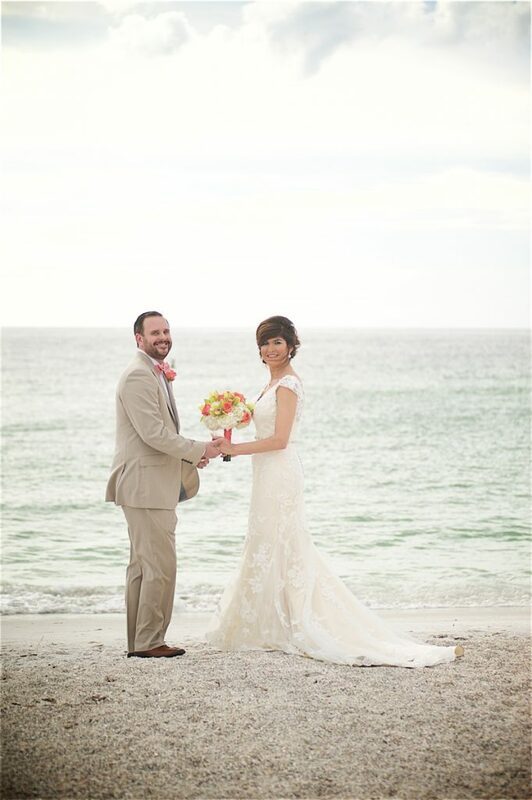 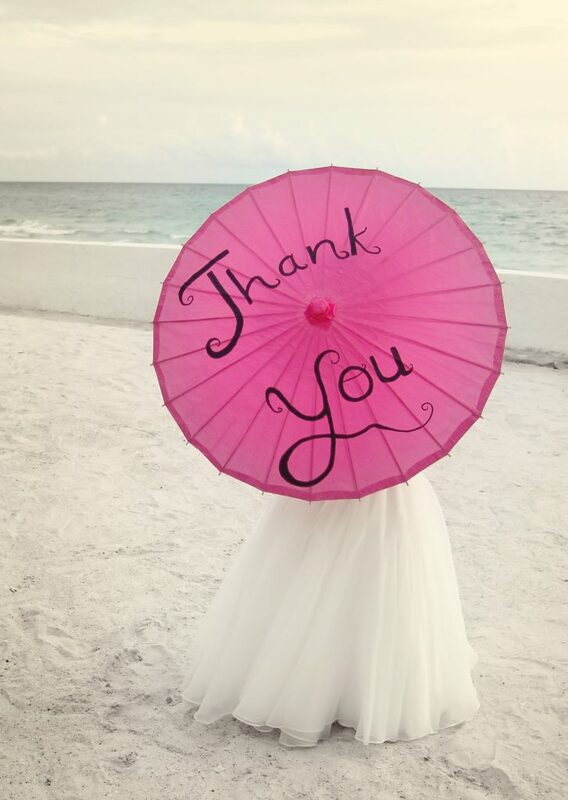 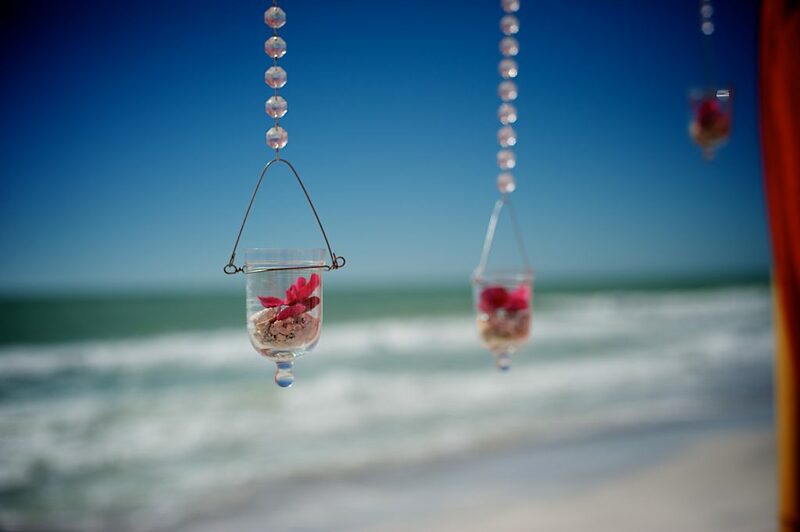 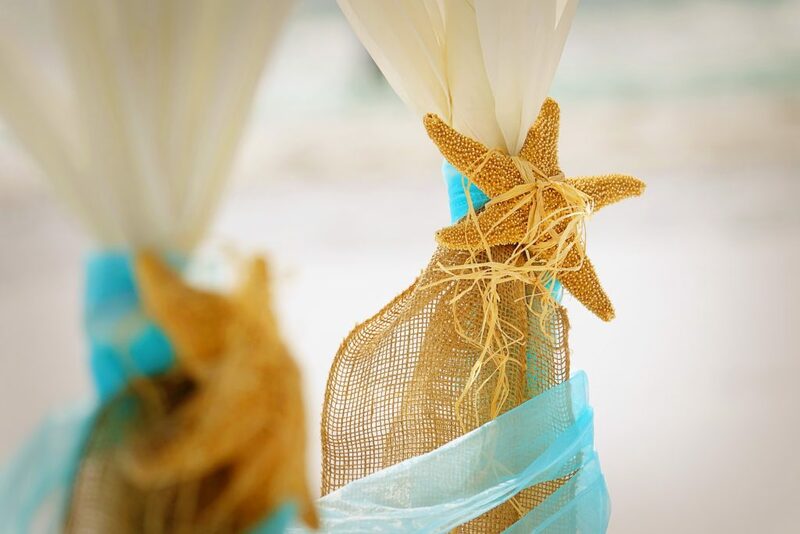 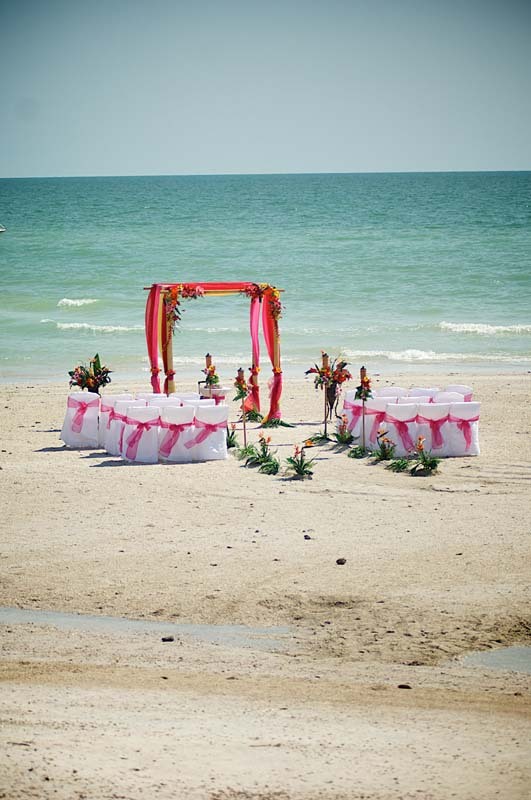 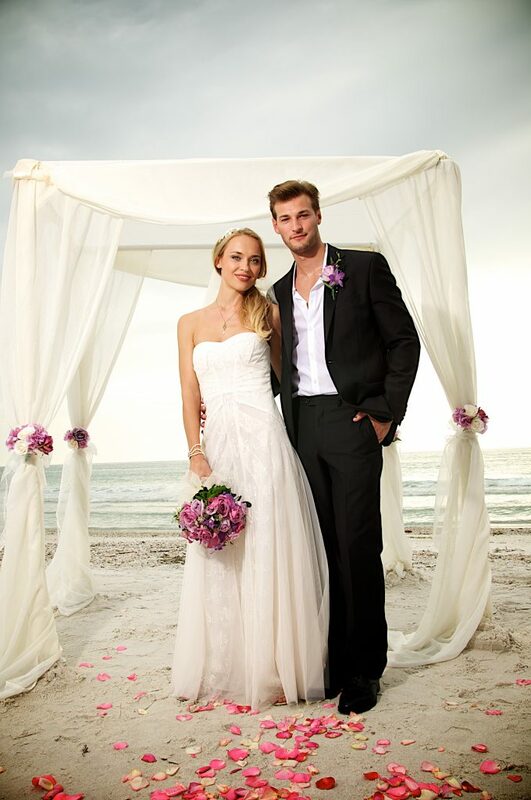 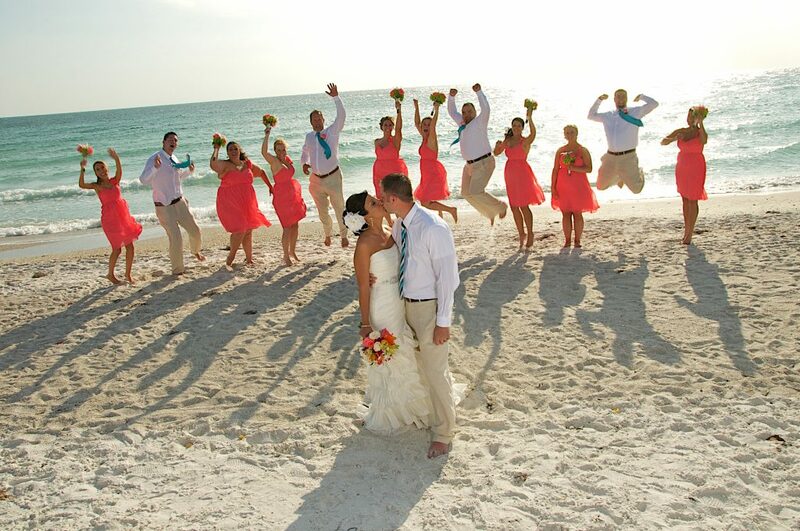 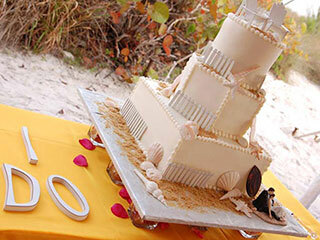 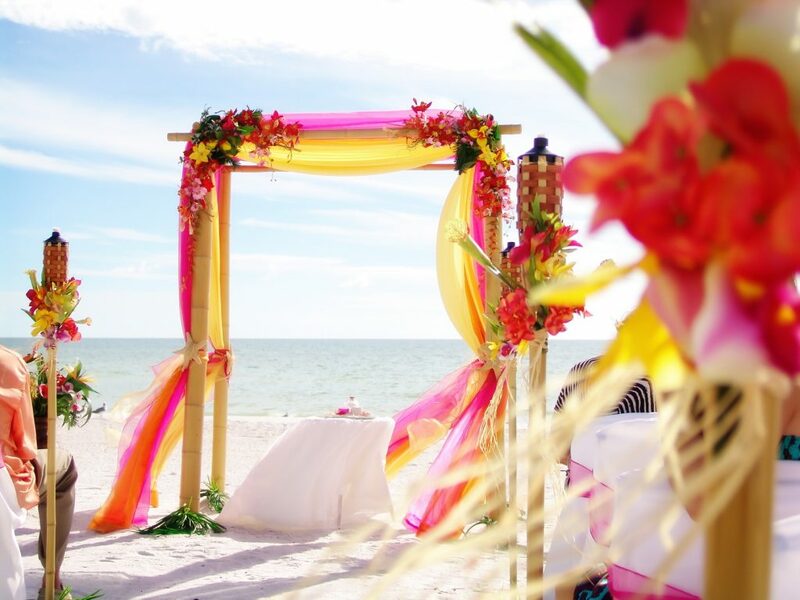 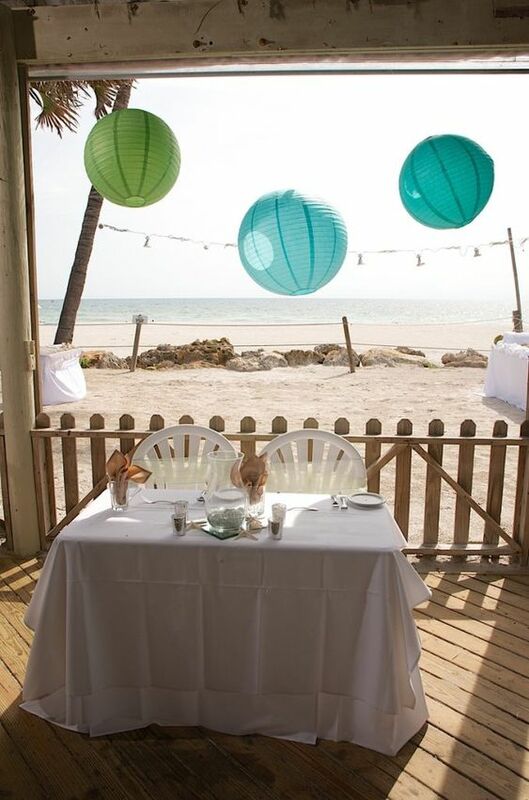 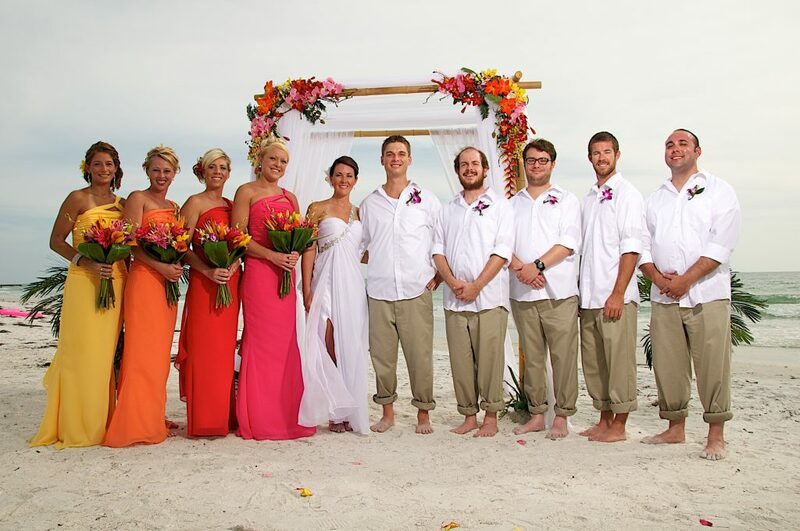 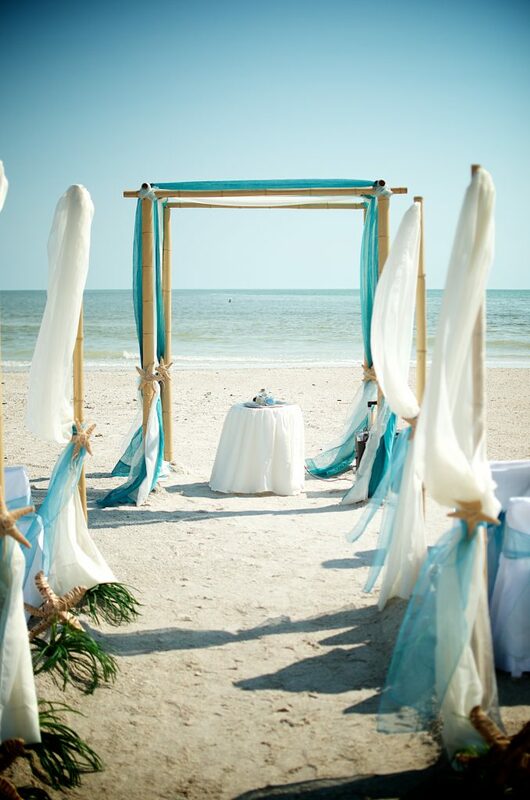 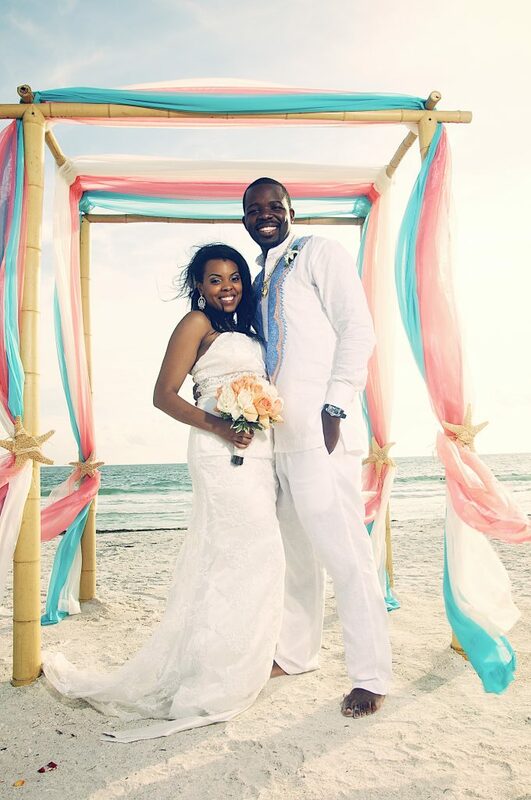 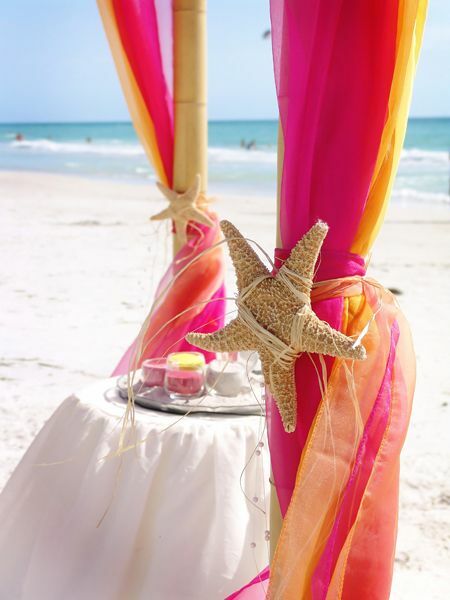 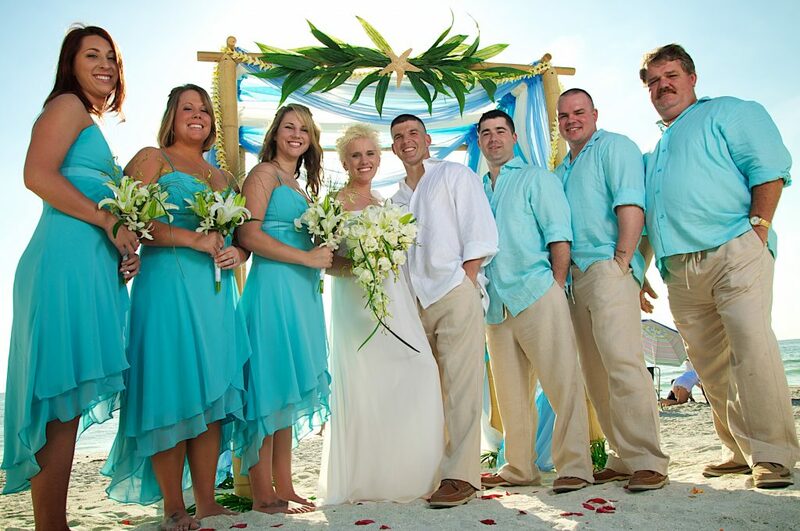 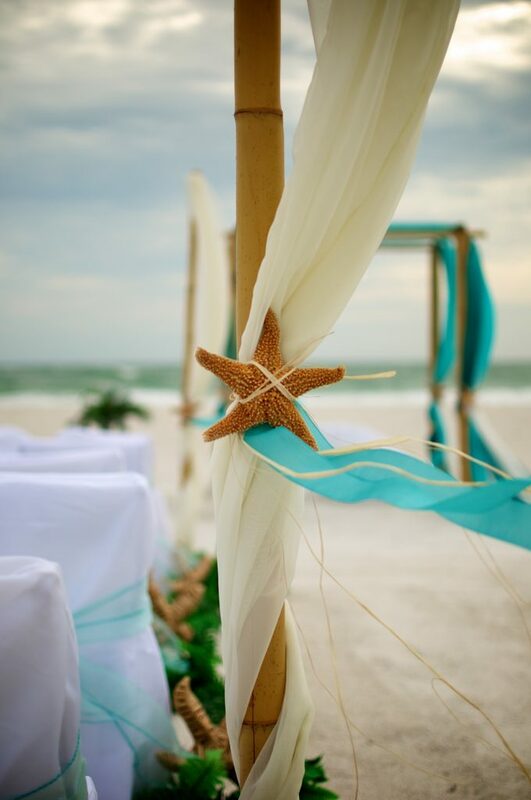 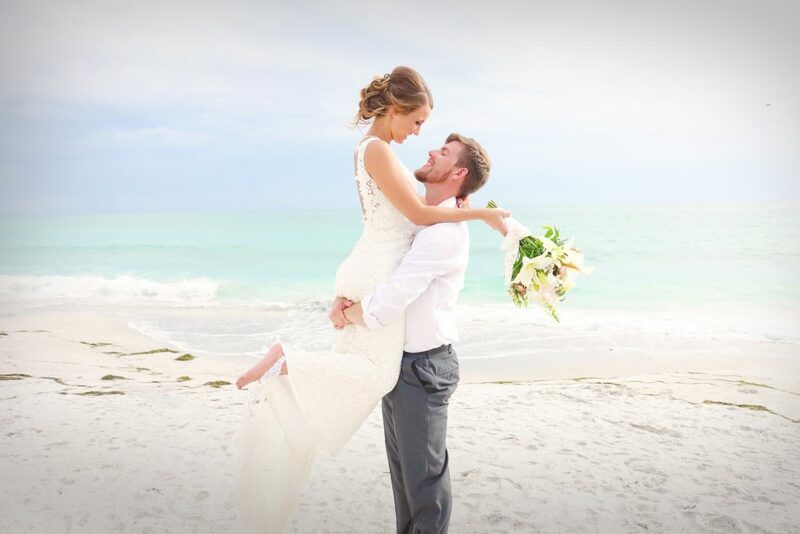 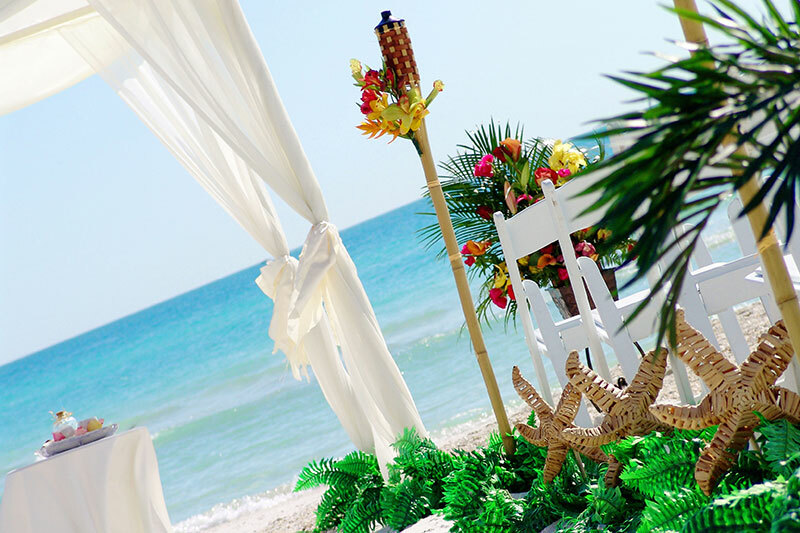 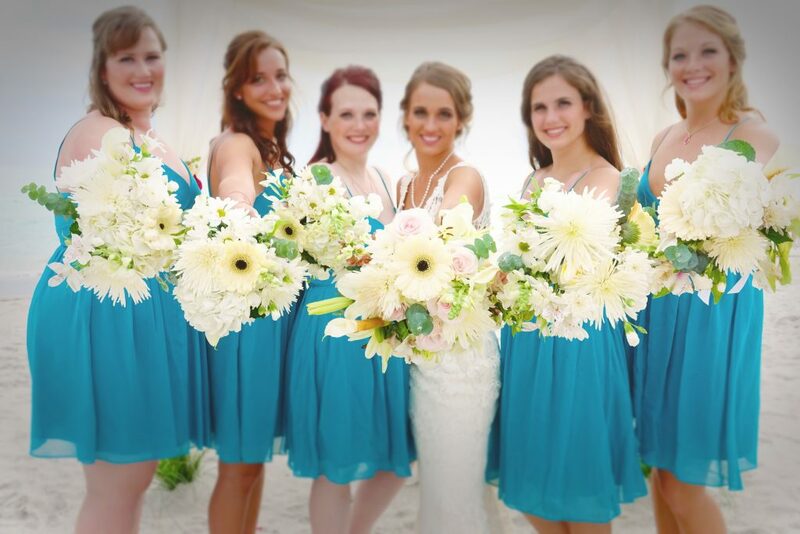 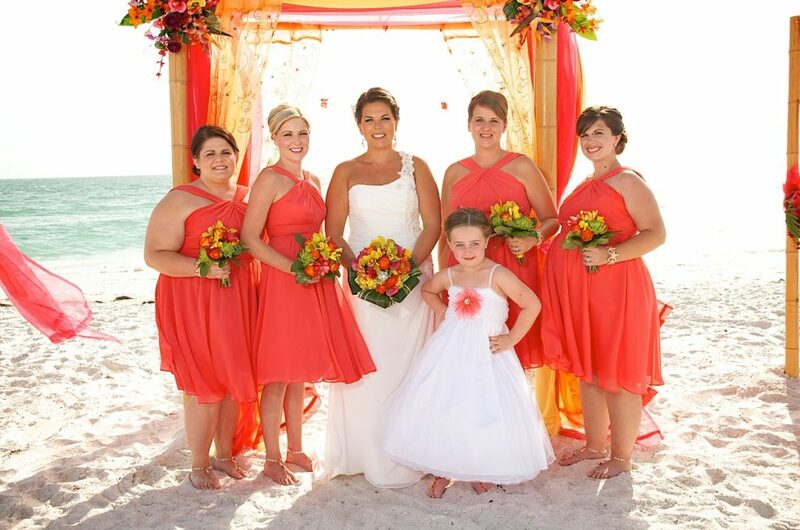 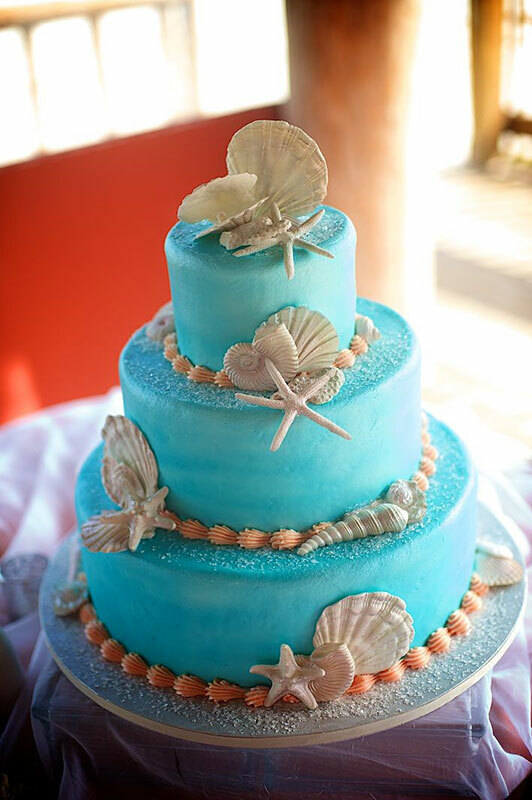 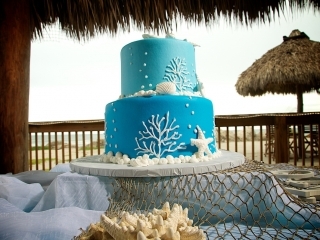 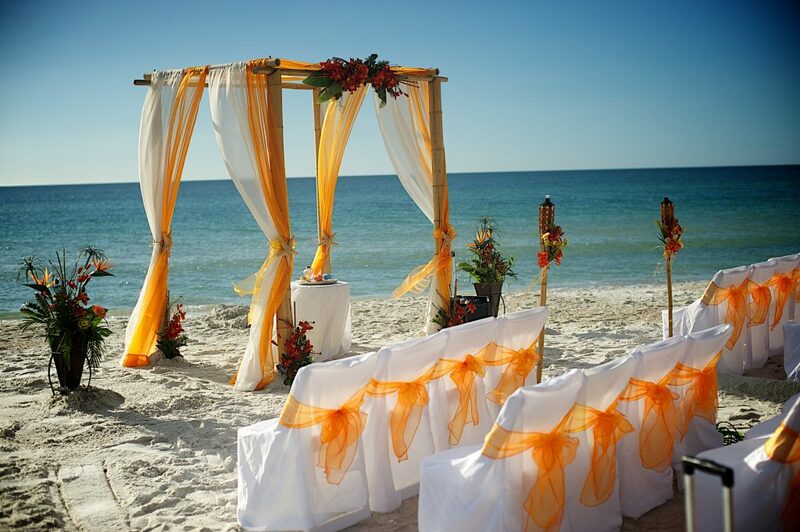 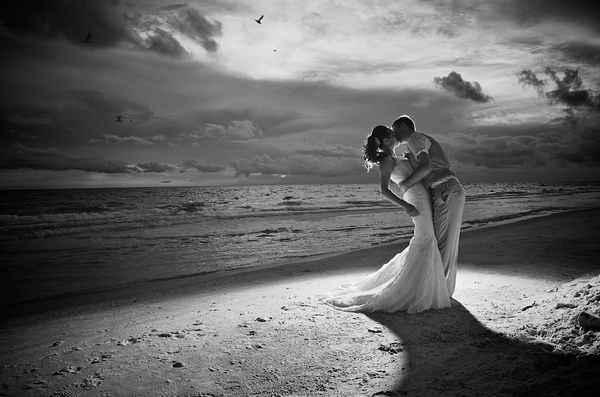 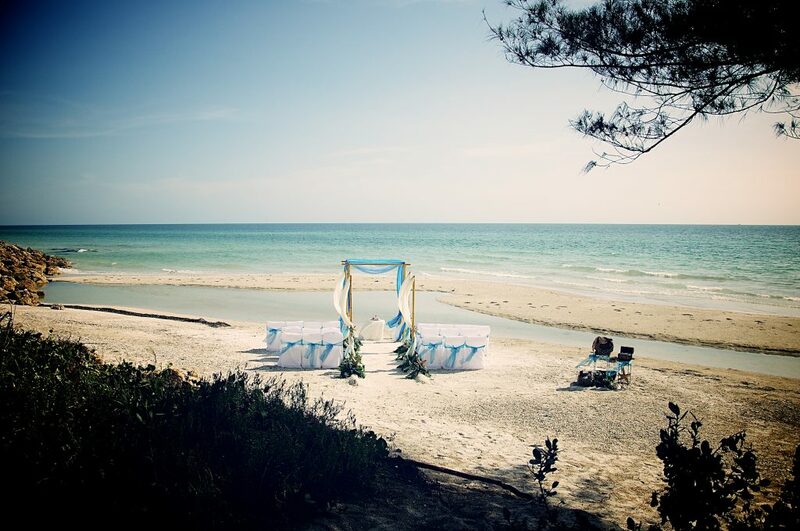 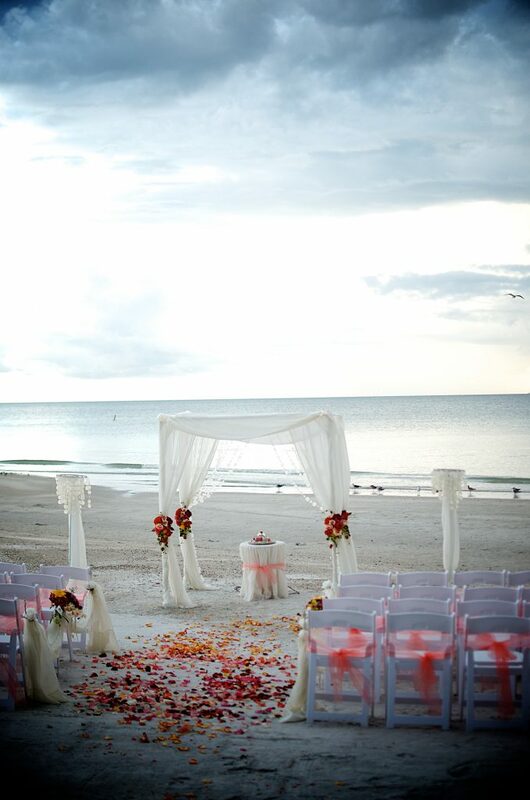 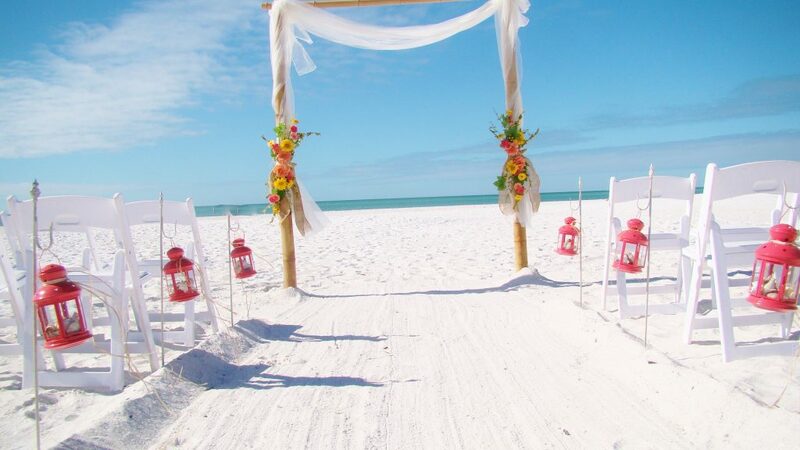 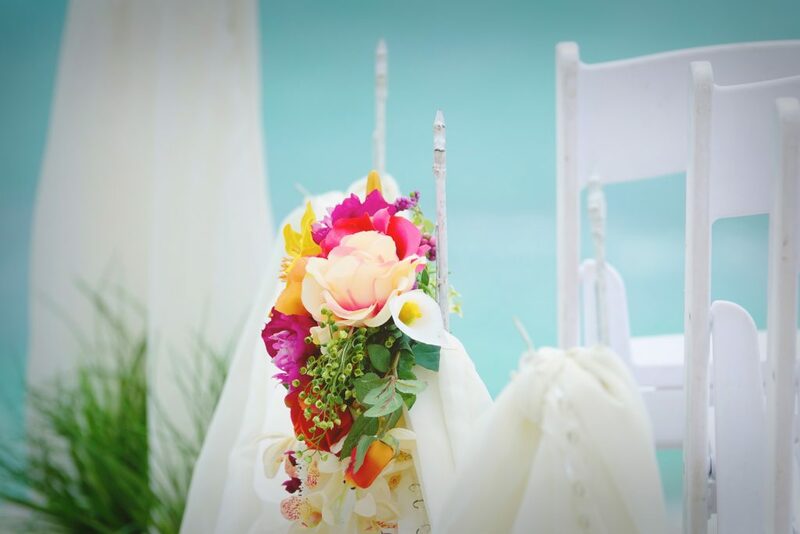 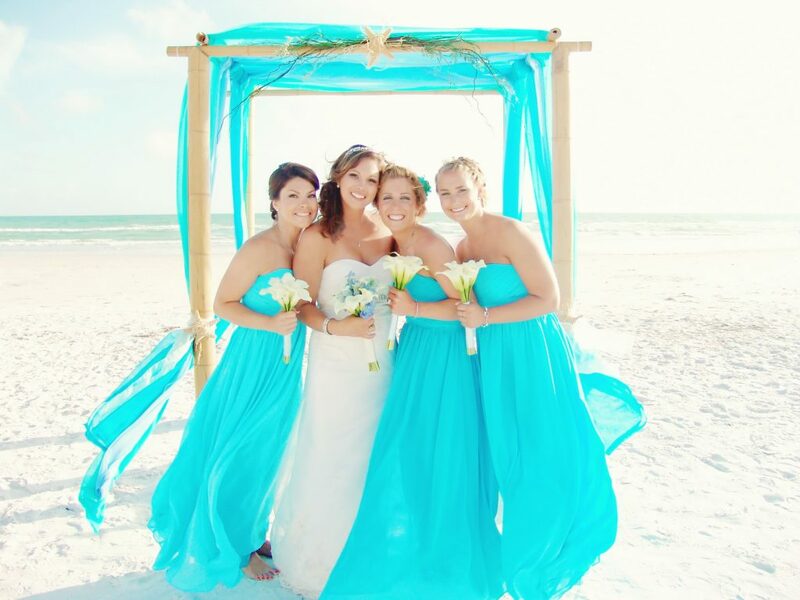 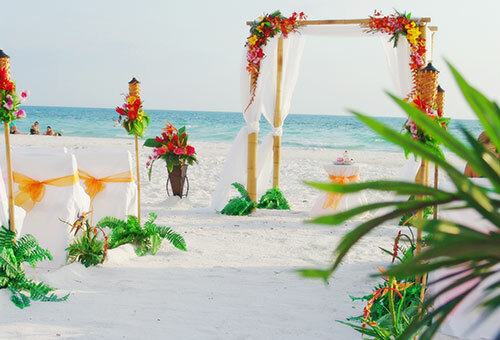 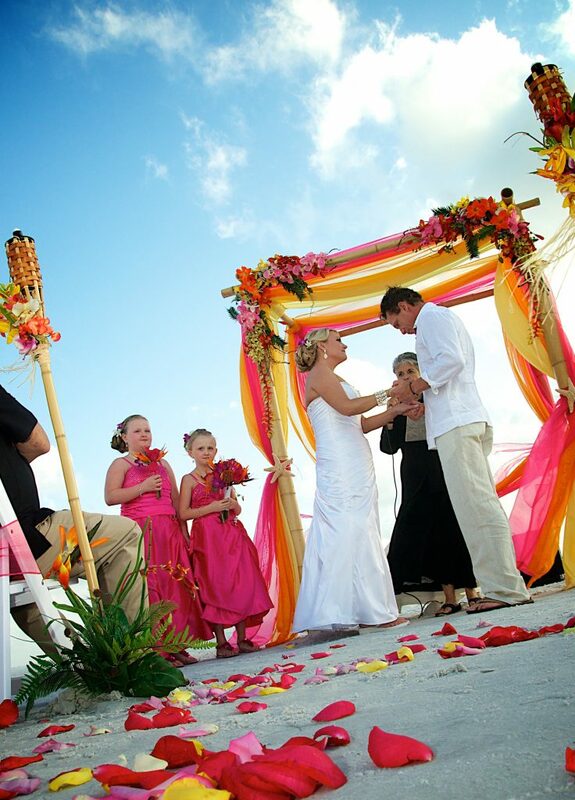 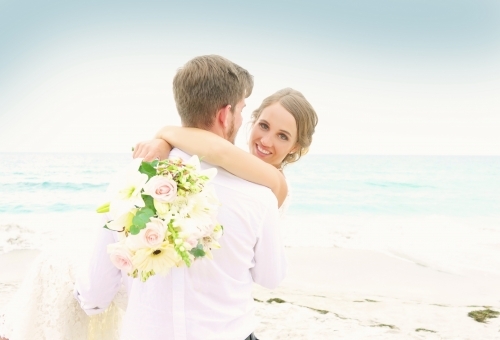 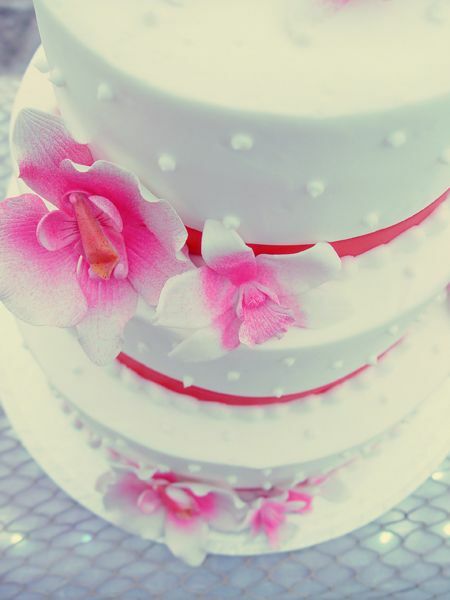 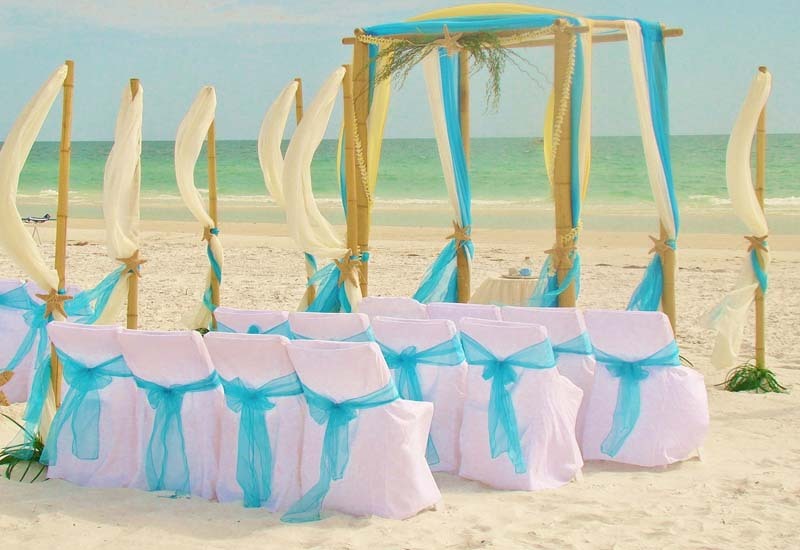 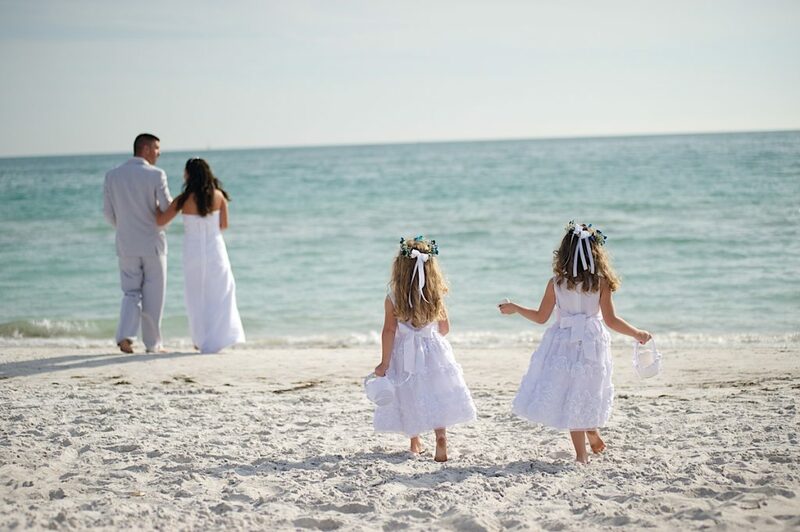 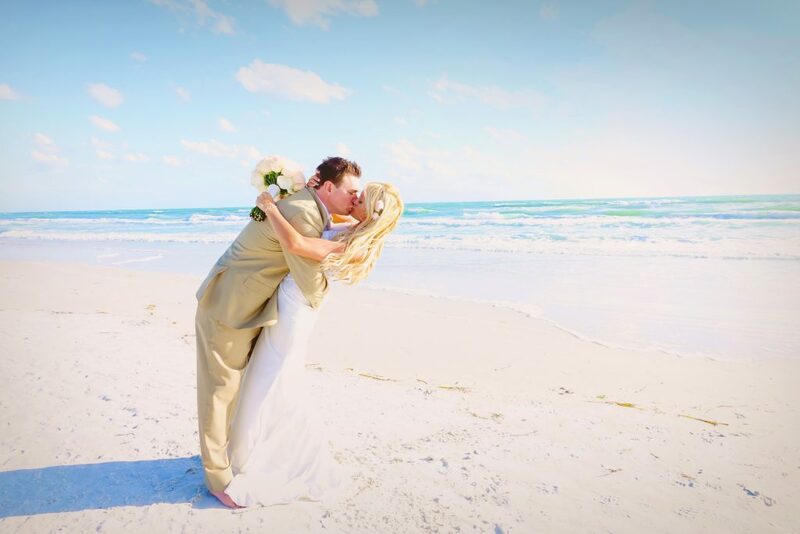 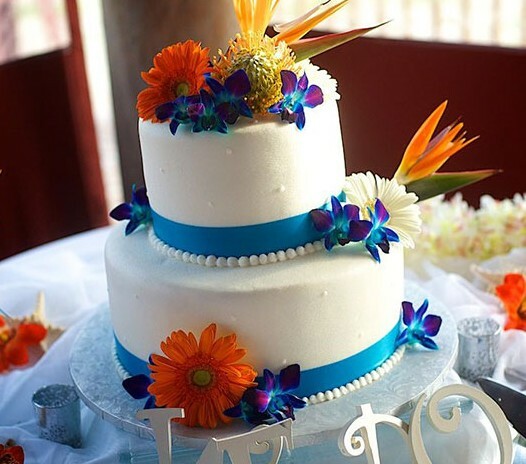 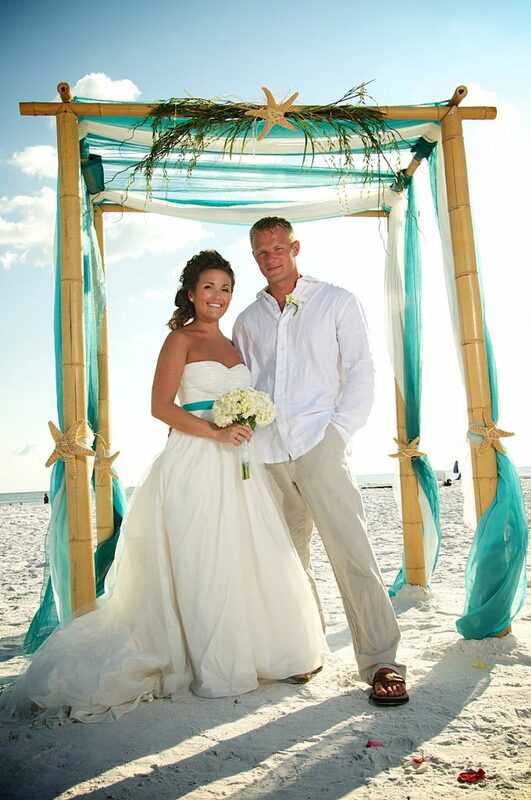 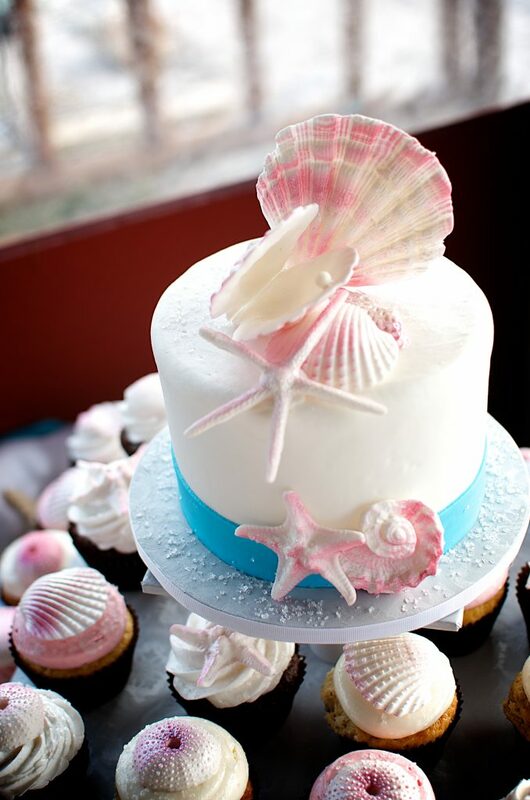 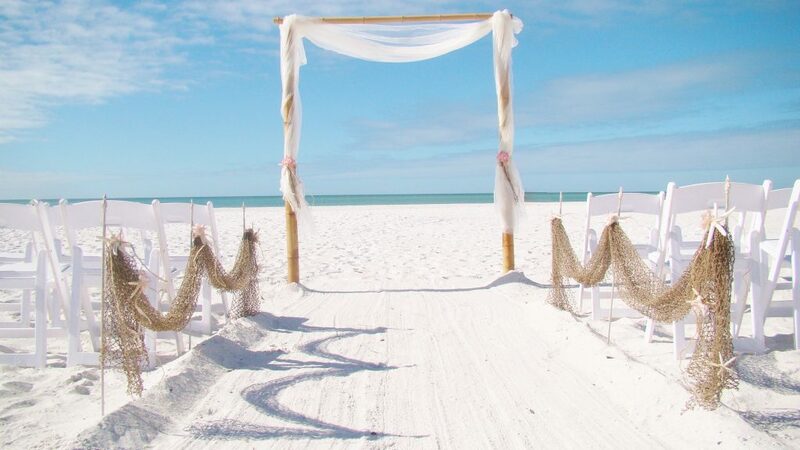 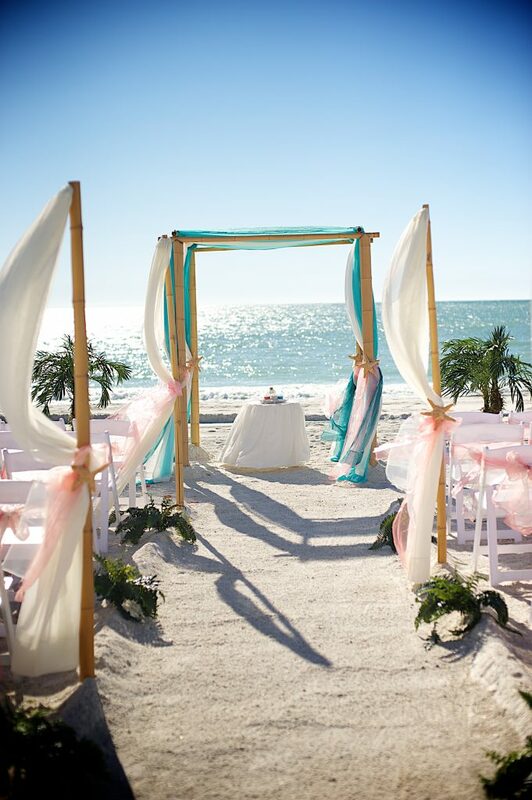 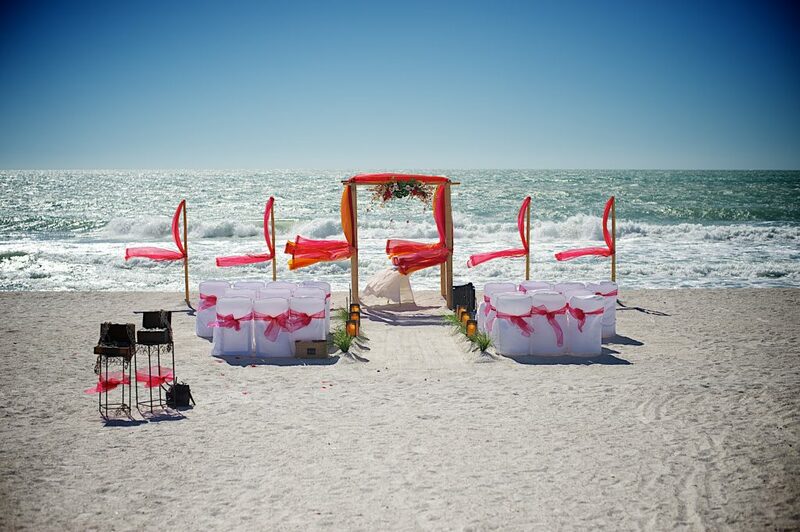 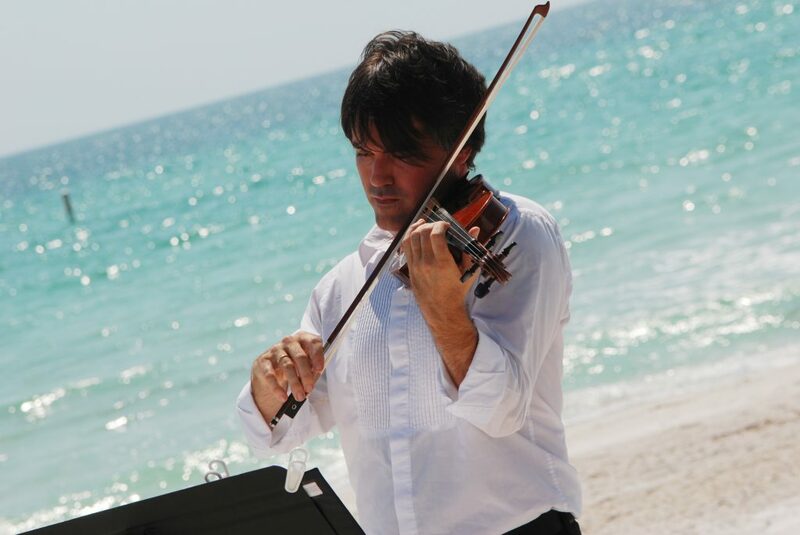 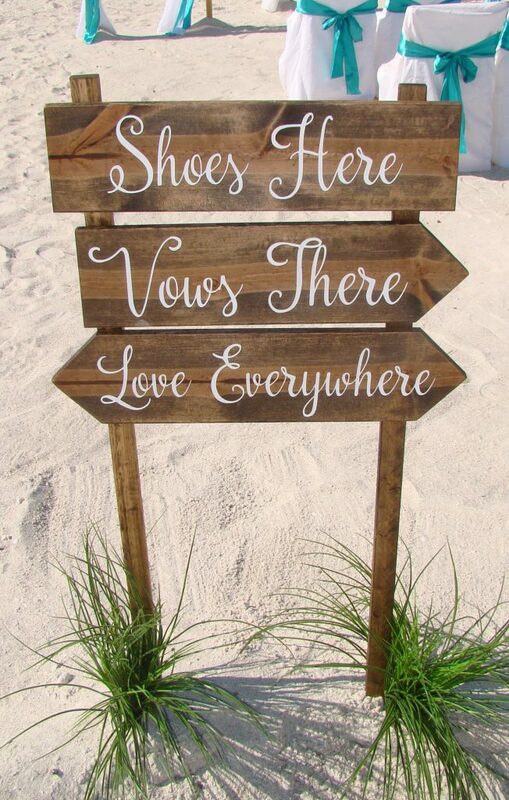 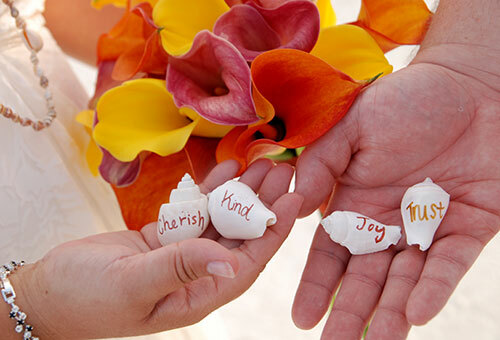 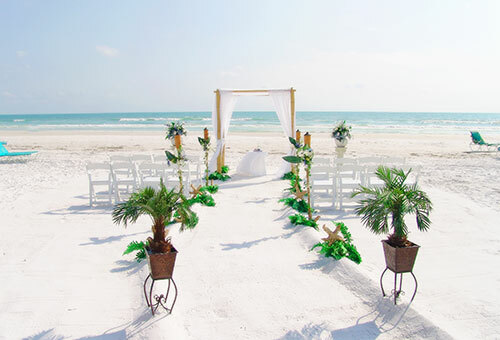 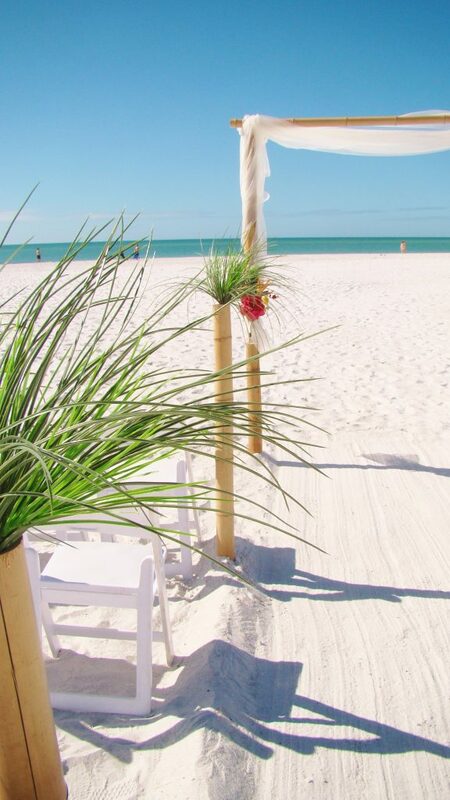 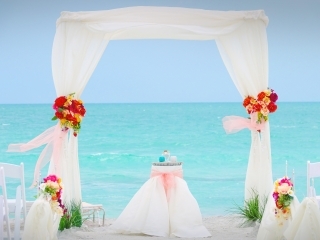 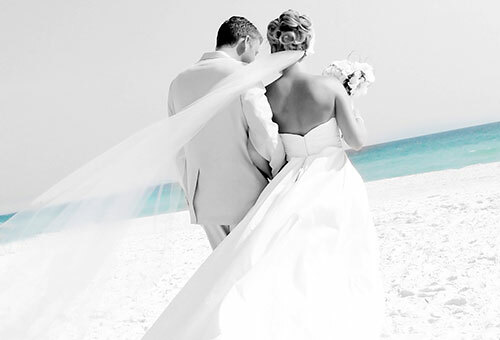 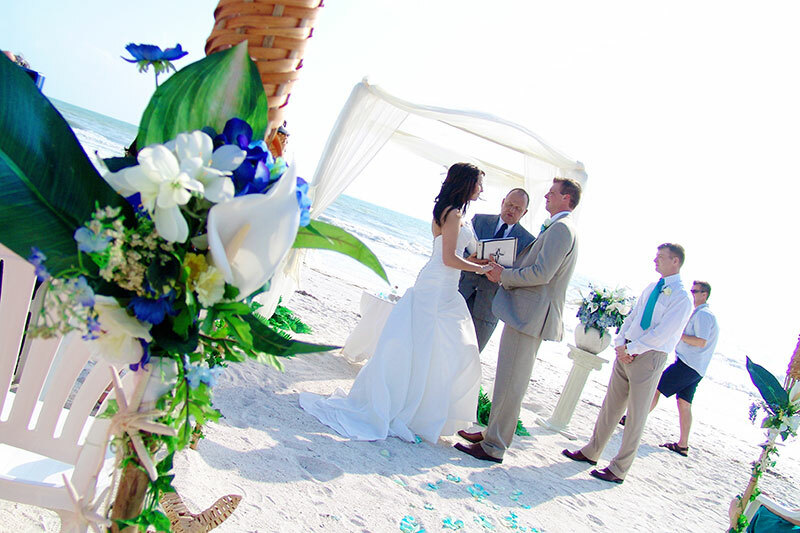 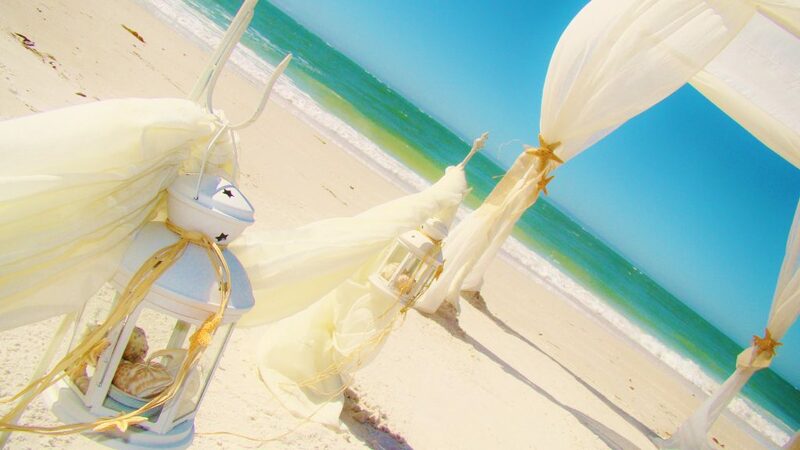 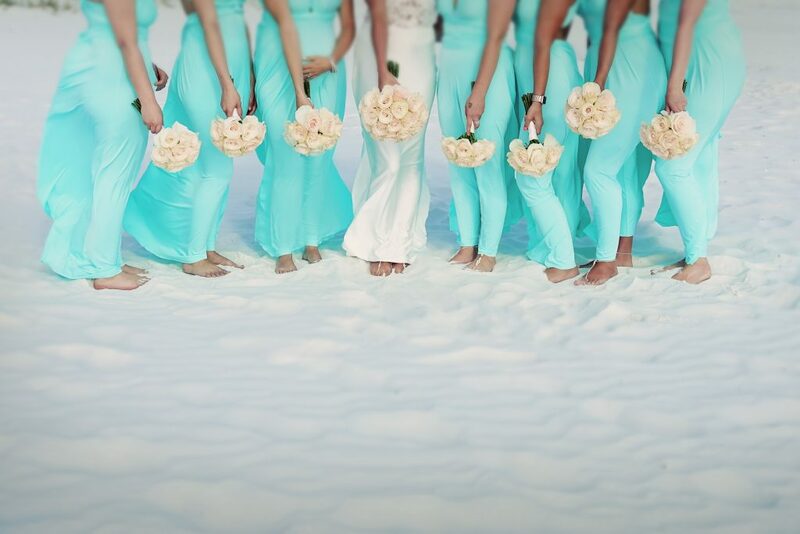 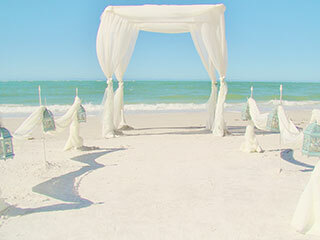 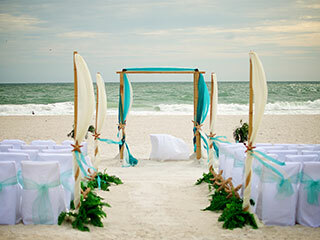 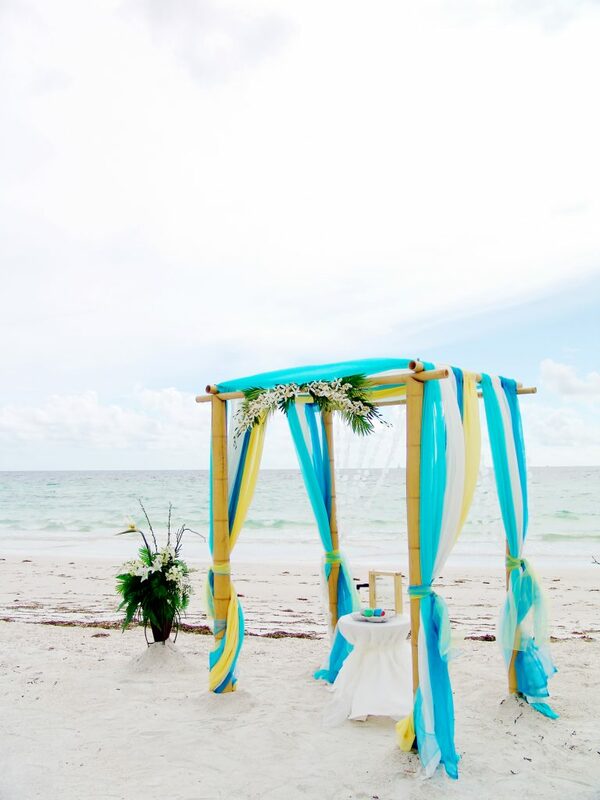 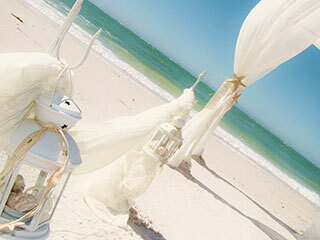 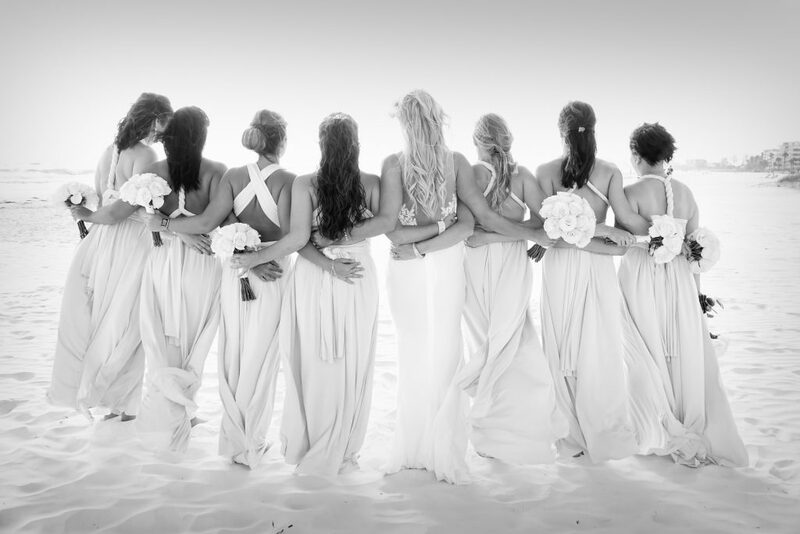 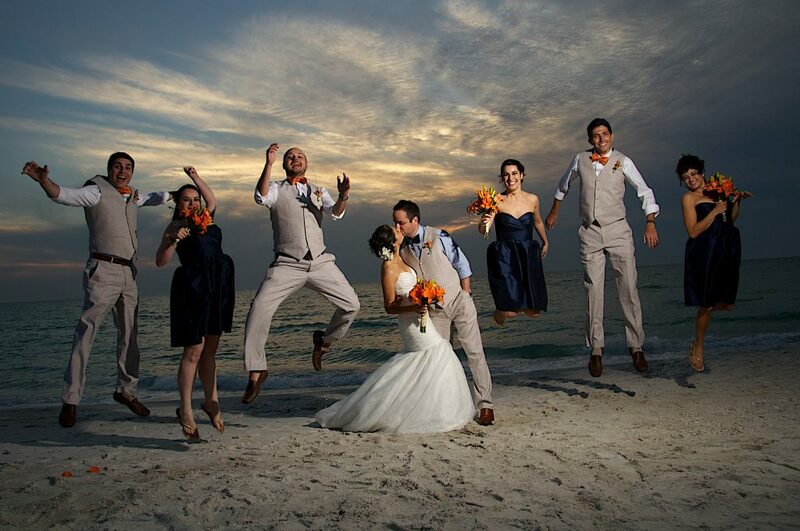 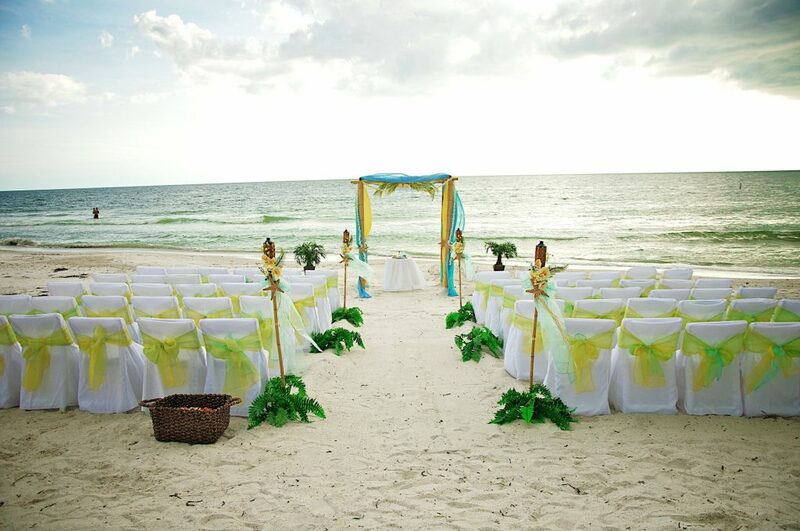 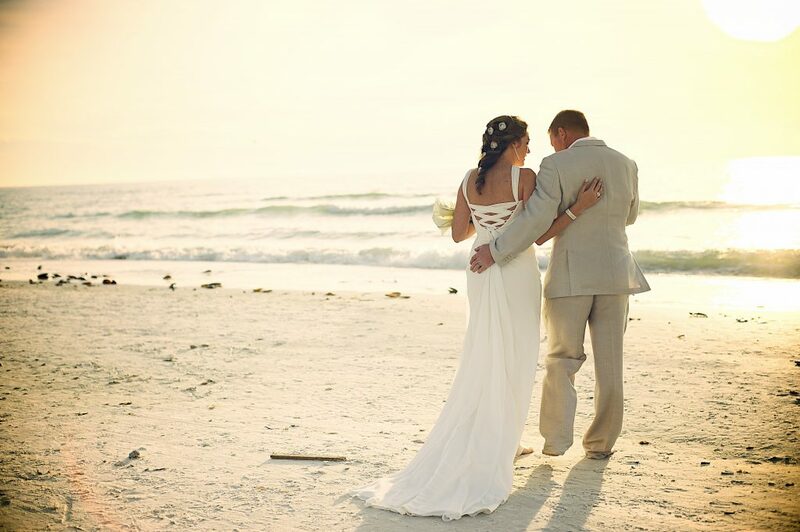 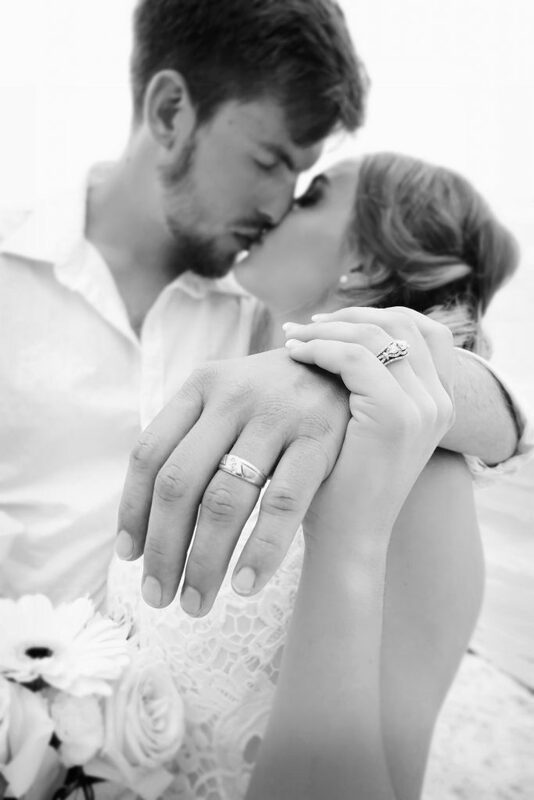 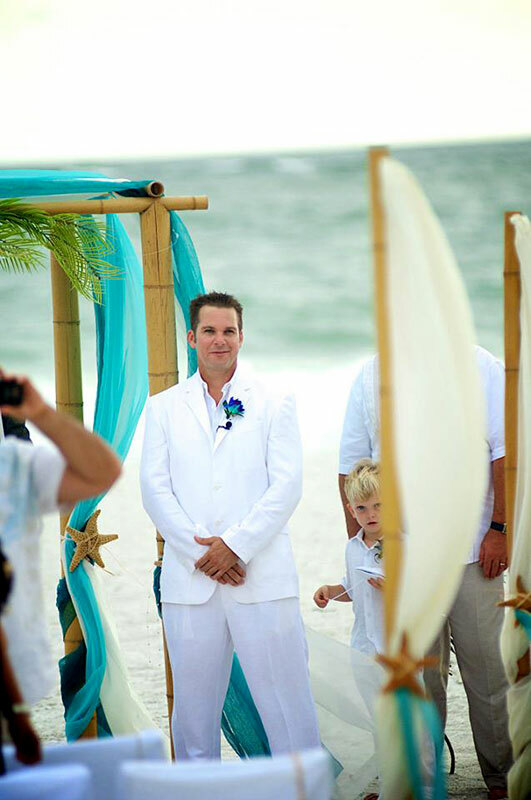 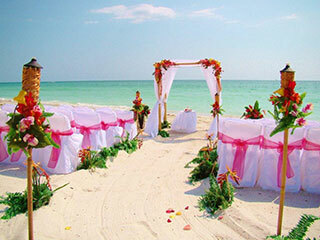 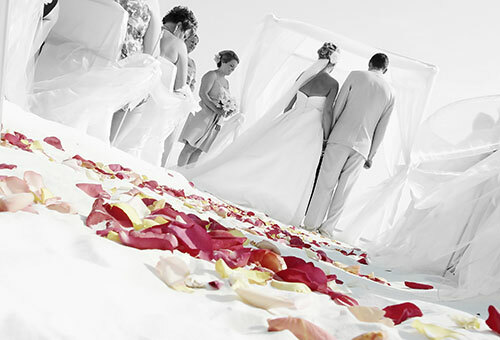 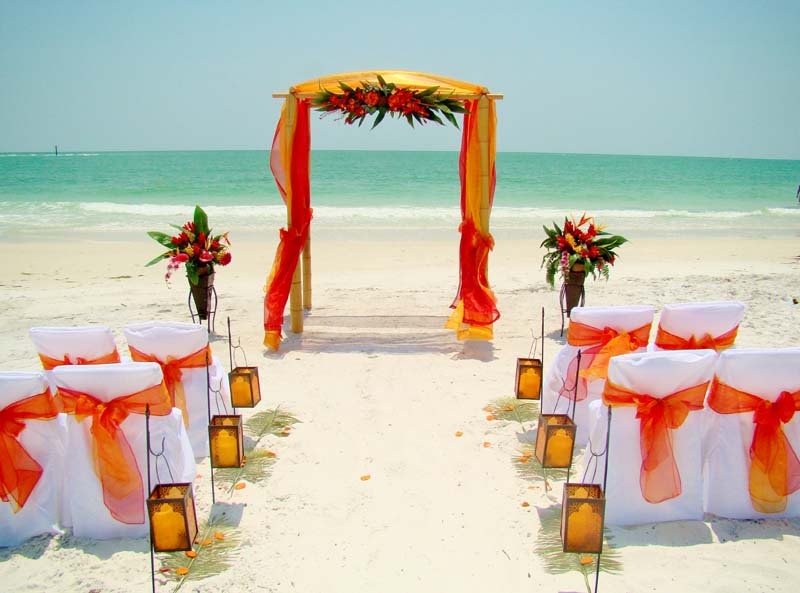 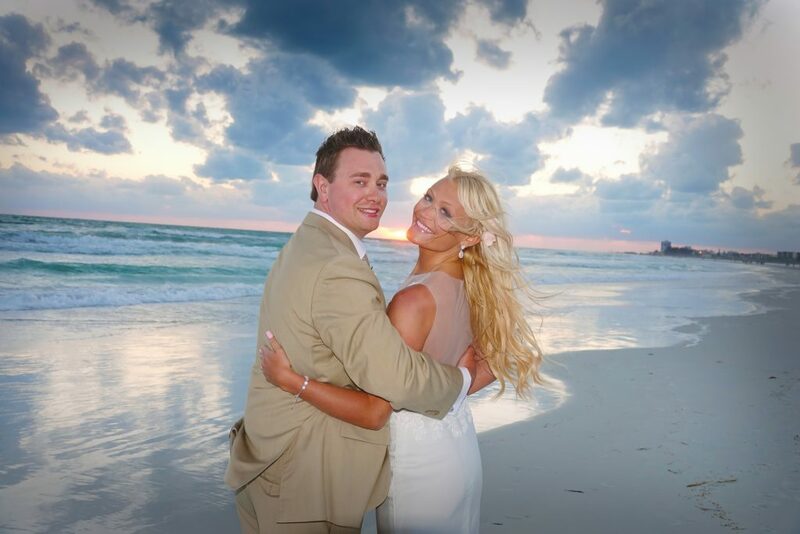 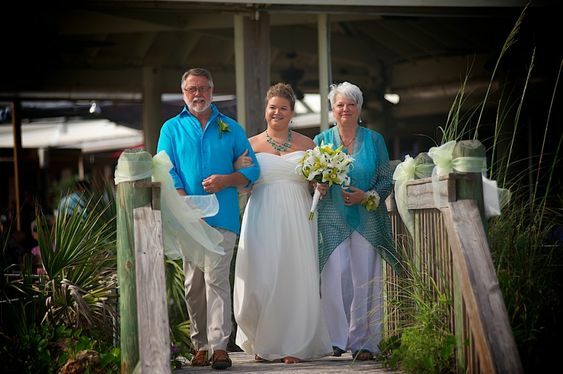 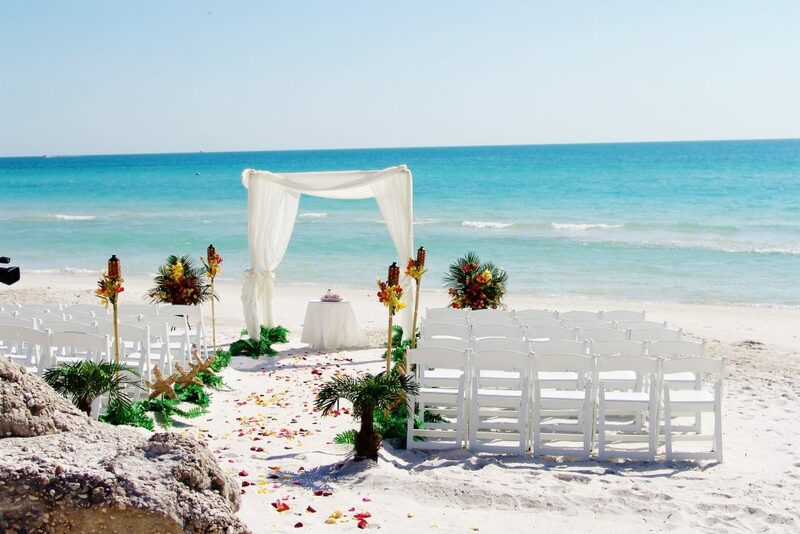 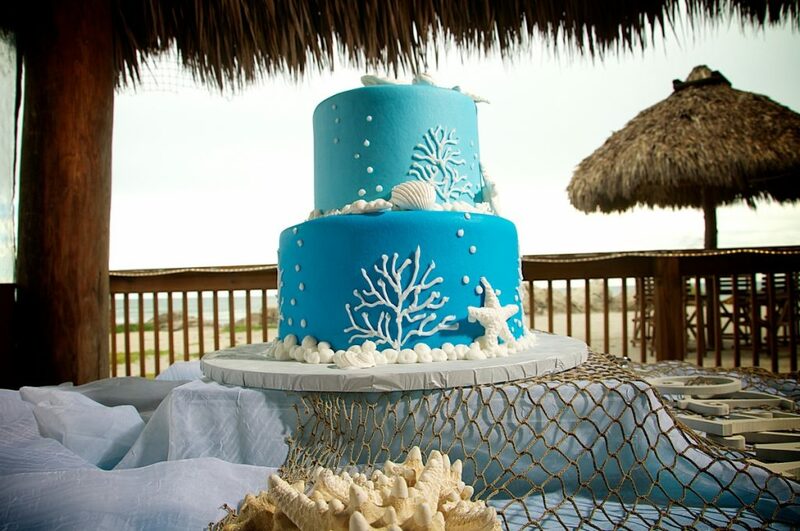 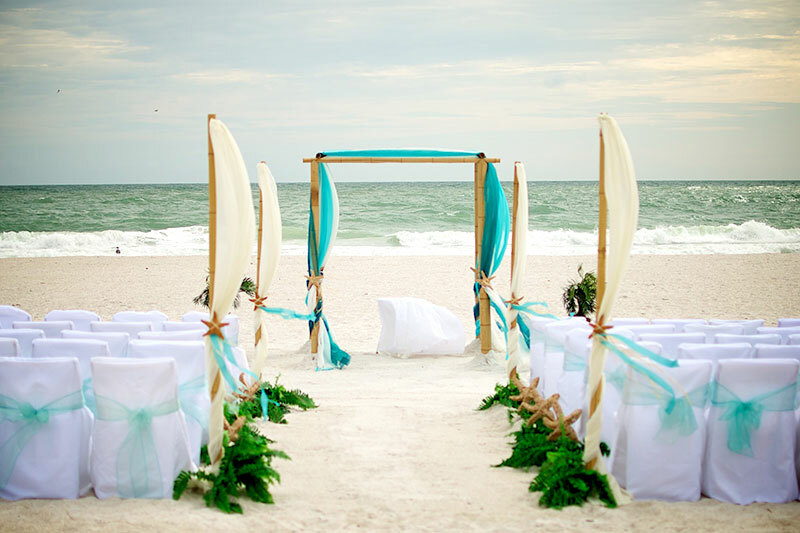 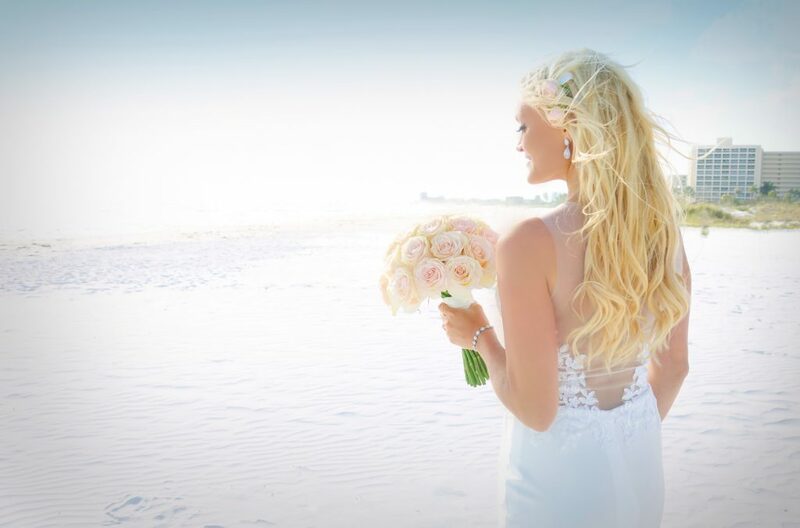 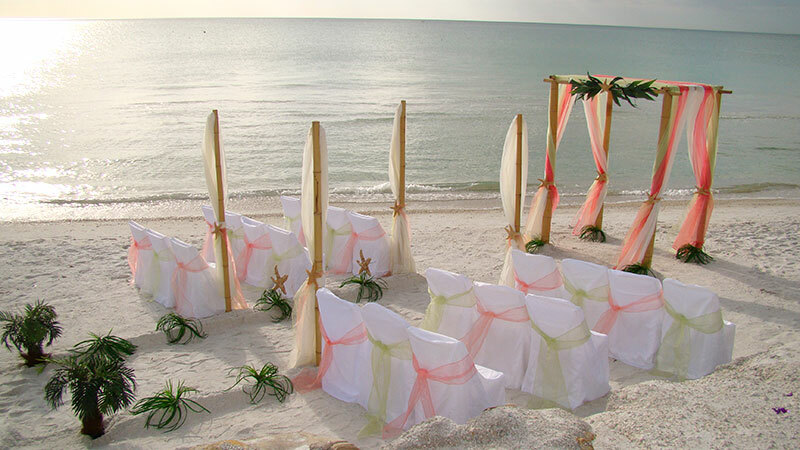 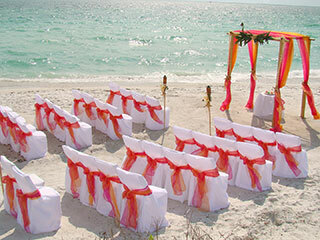 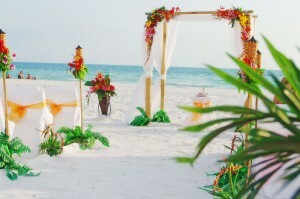 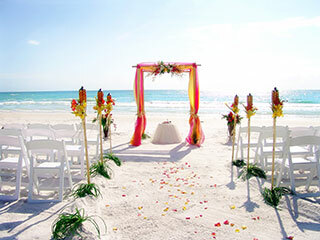 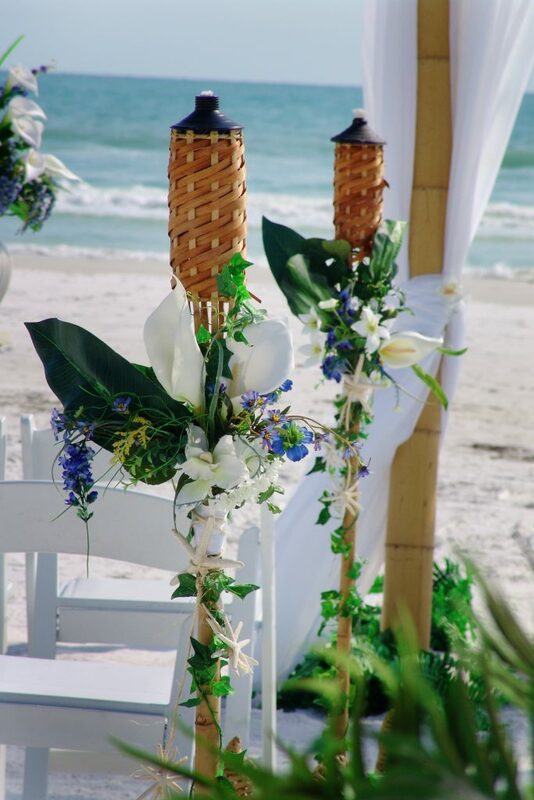 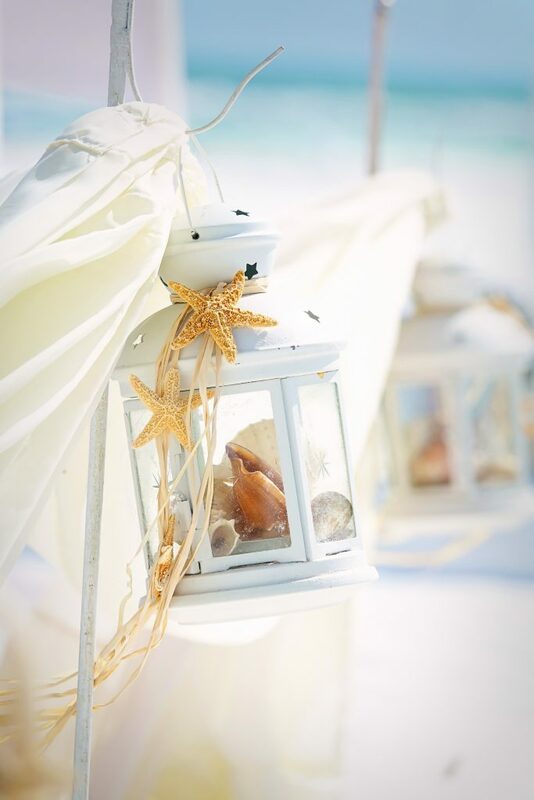 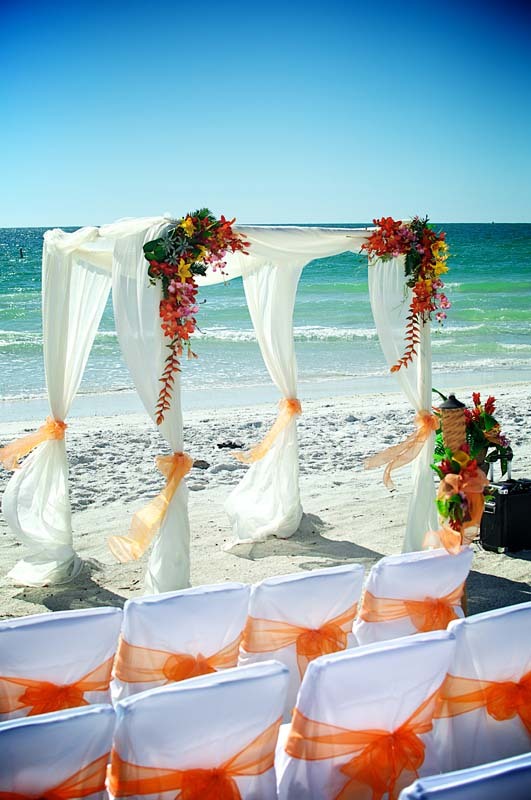 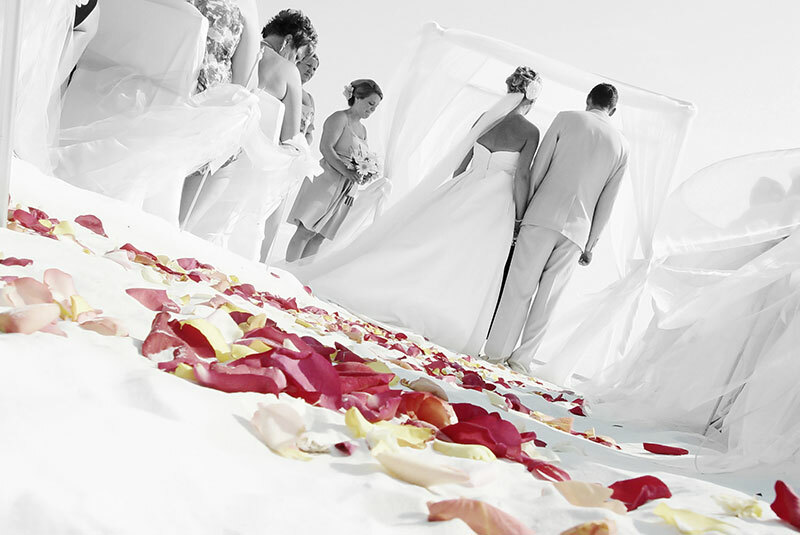 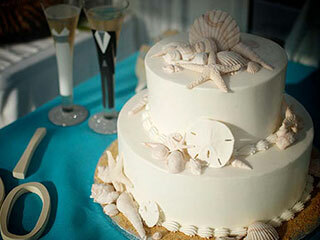 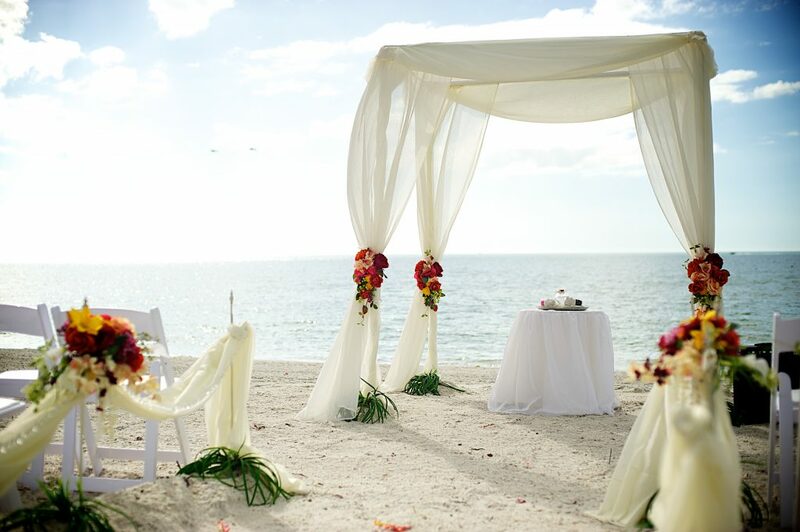 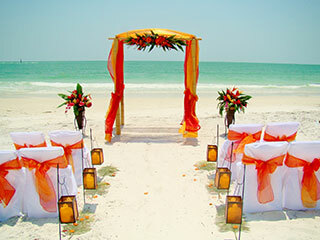 Florida beach wedding package complete with officiant, musician, professional photography, Deluxe' wedding décor, white folding chairs, wedding coordinator, and videographer. 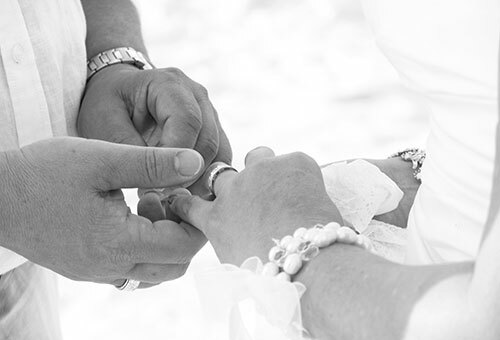 Filing of your marriage certificate. 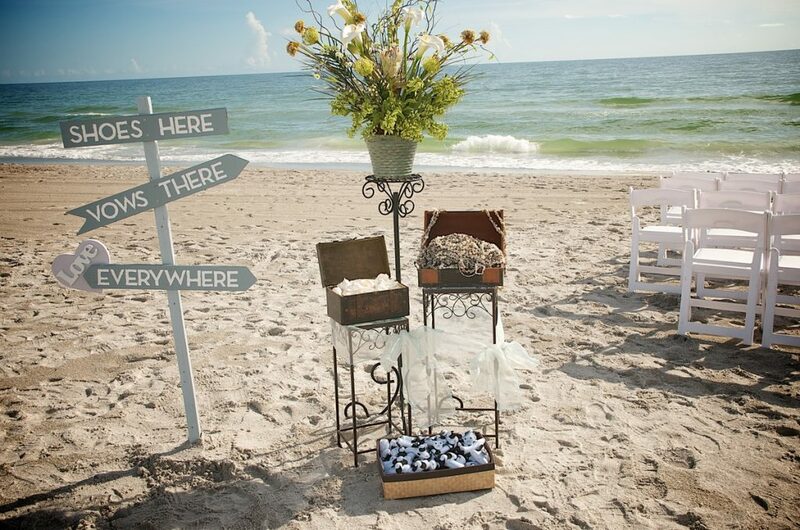 Sound System for Officiant & Vow exchange. 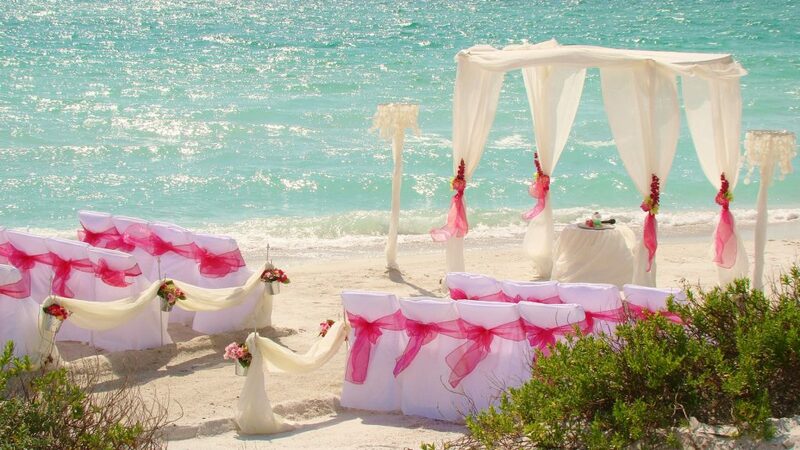 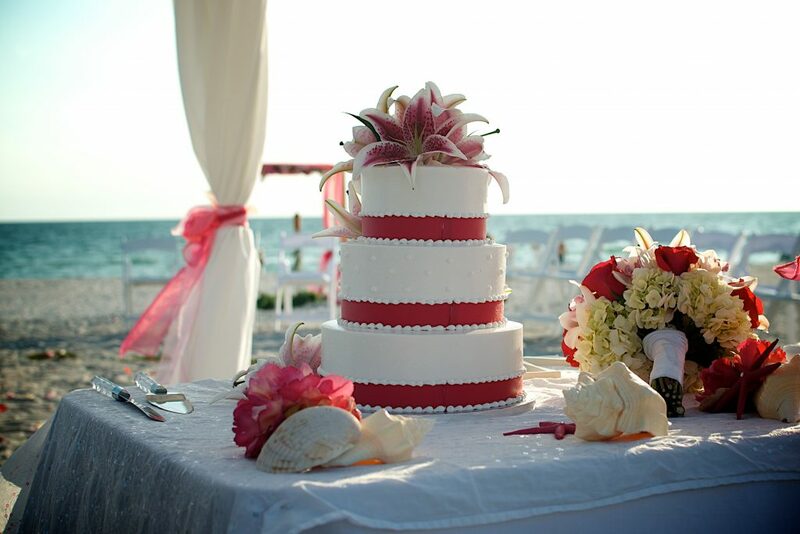 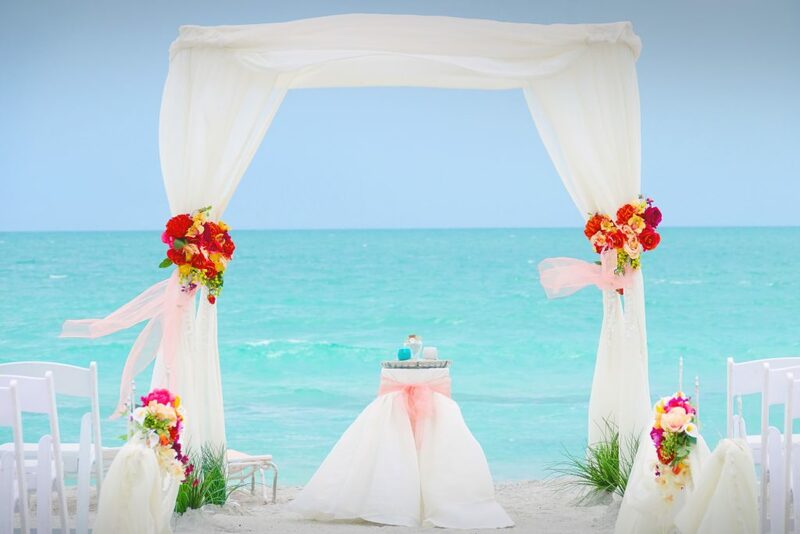 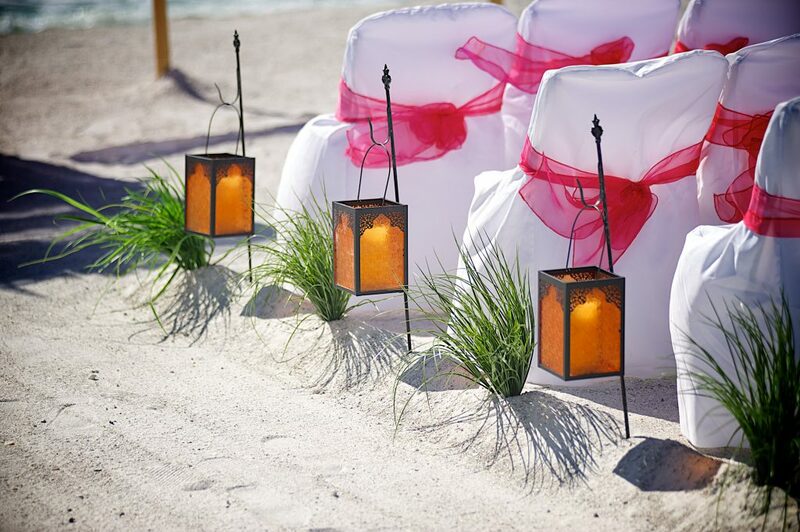 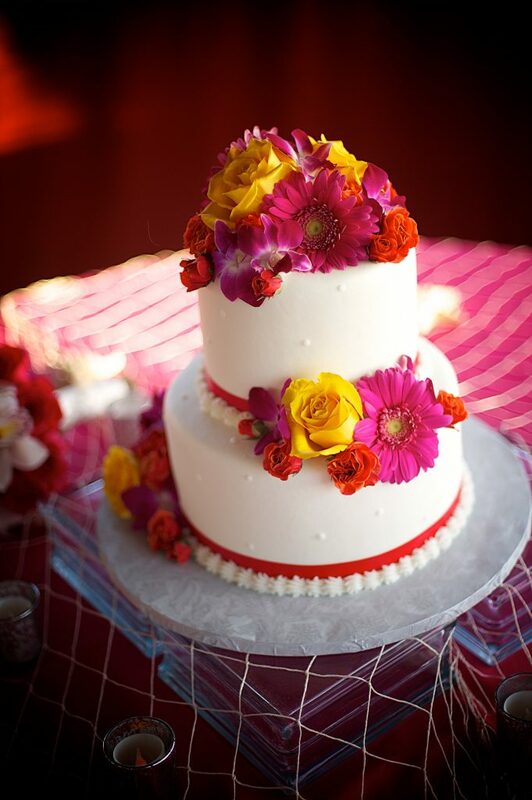 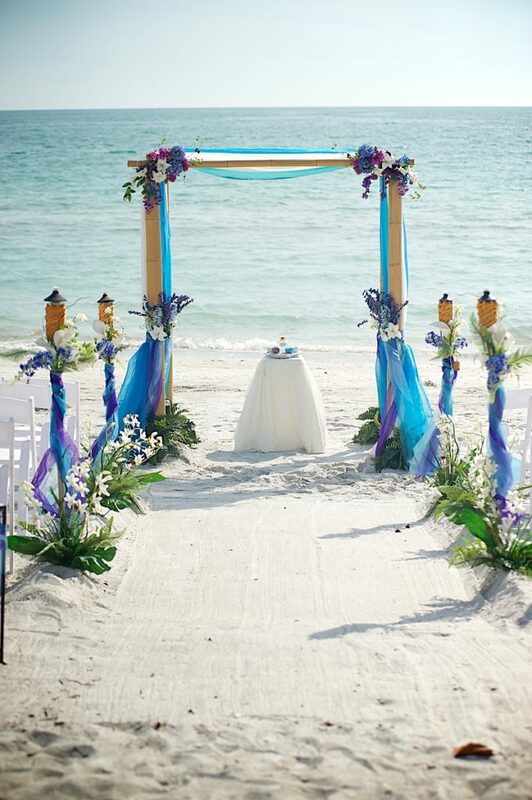 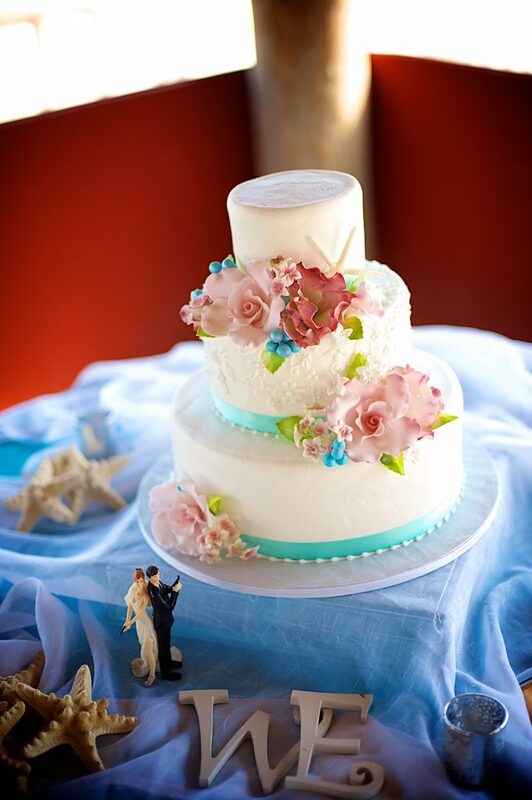 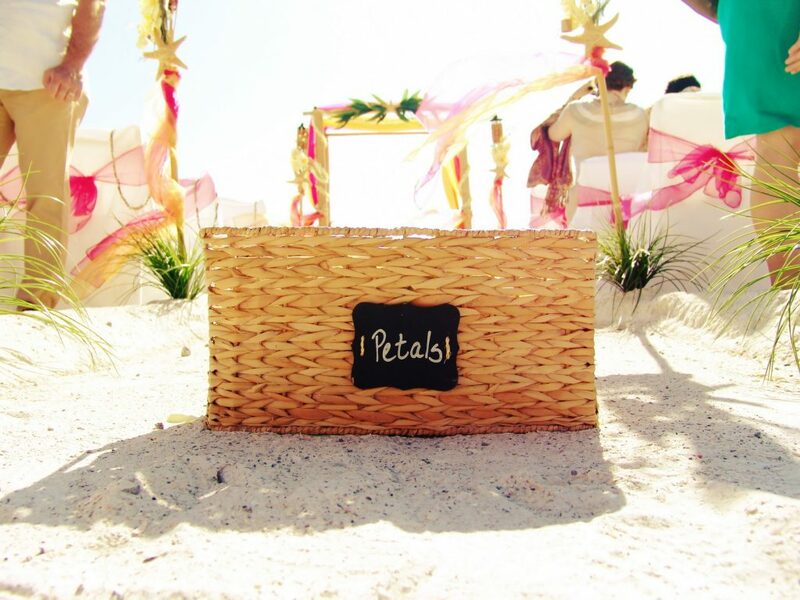 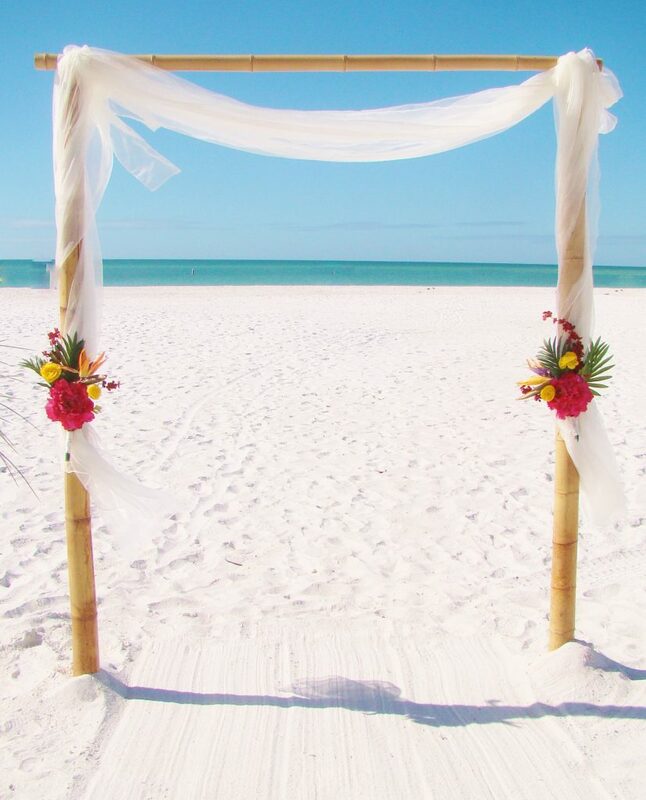 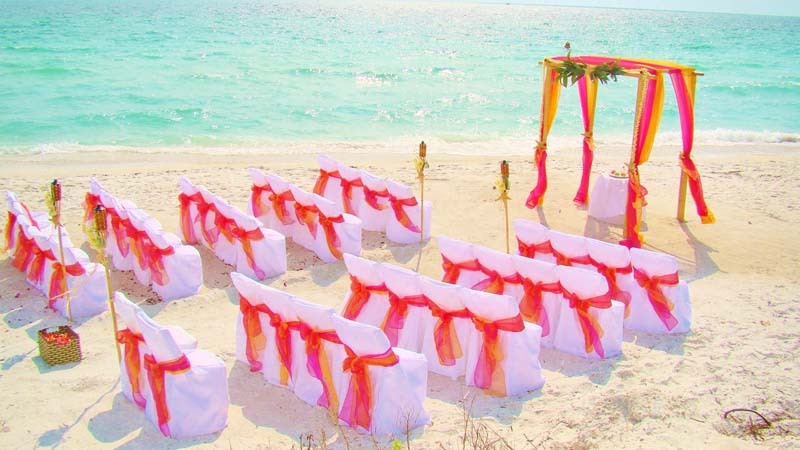 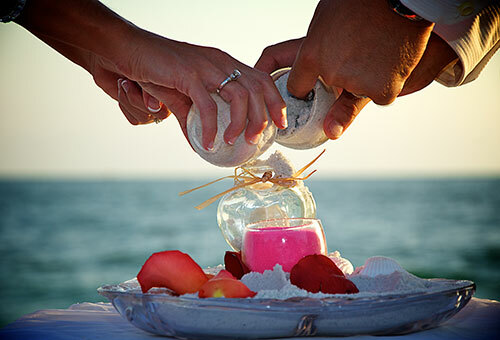 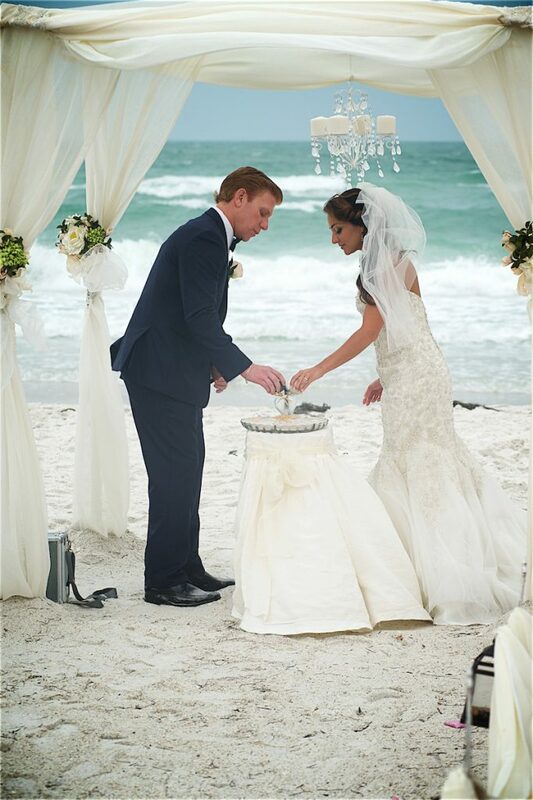 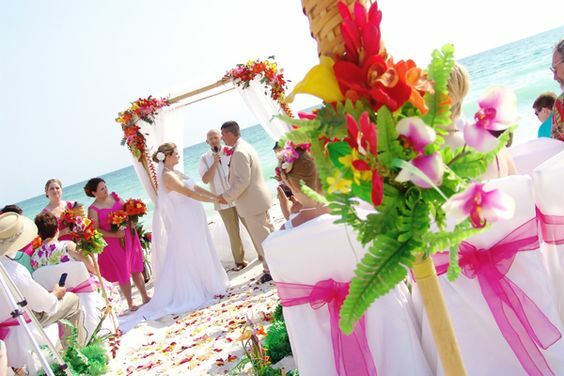 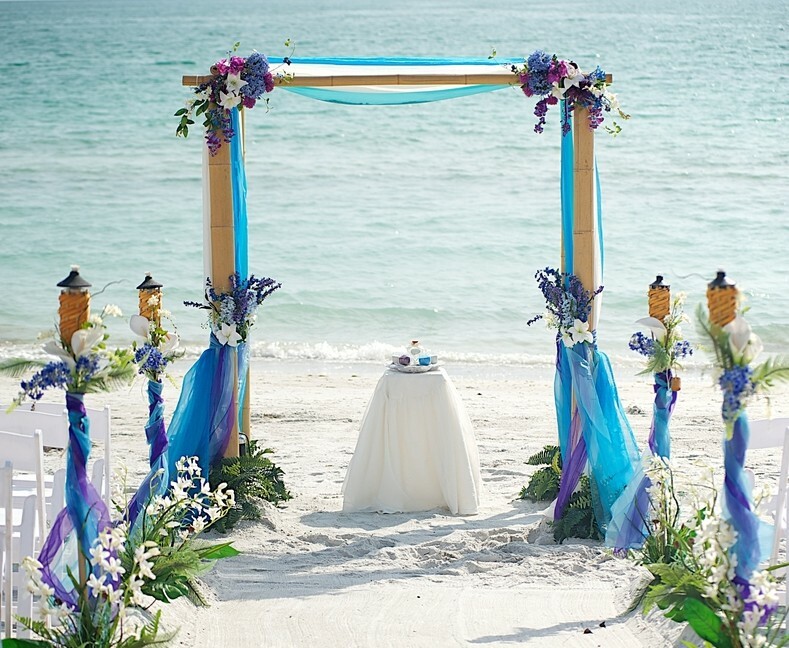 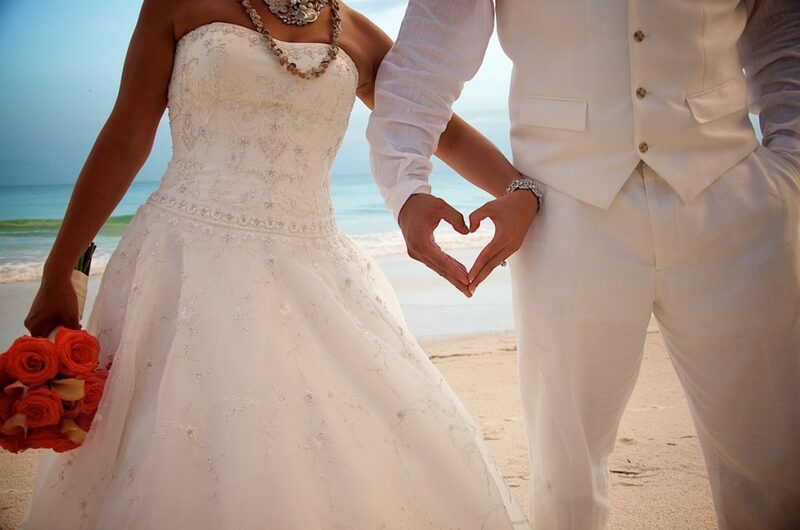 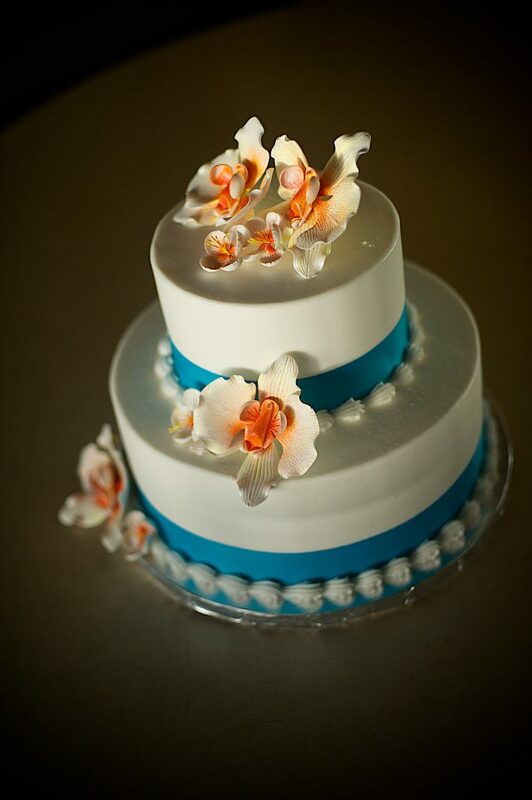 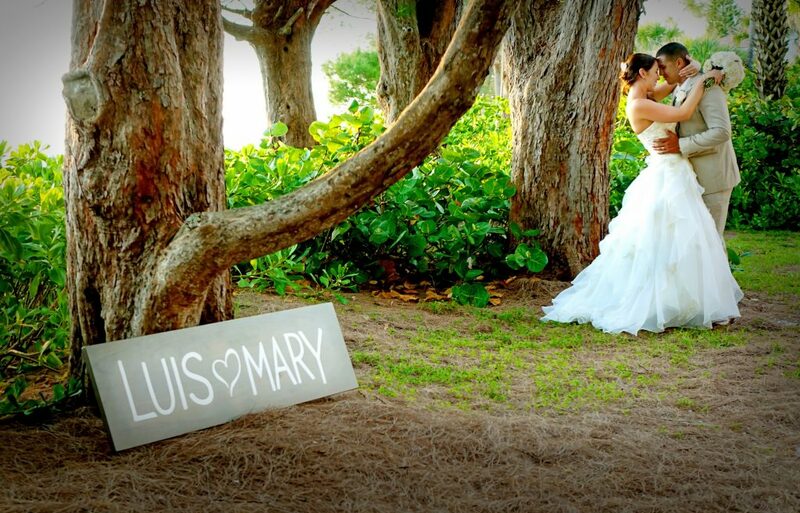 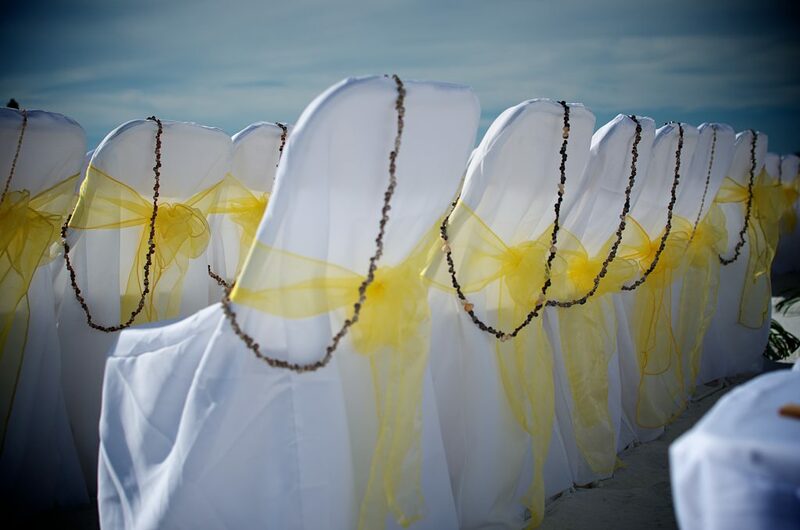 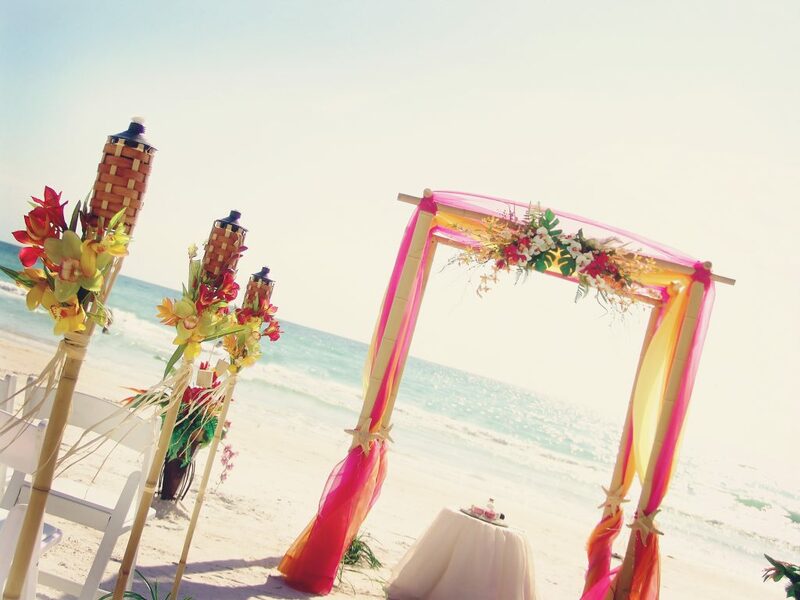 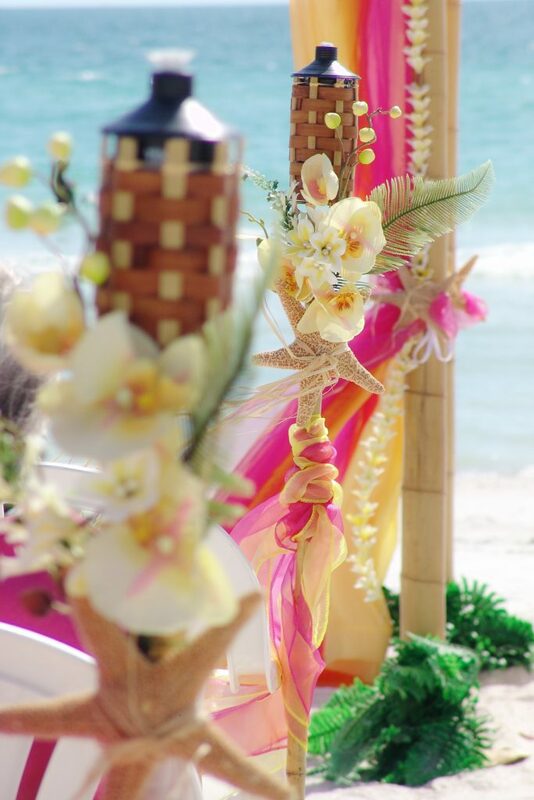 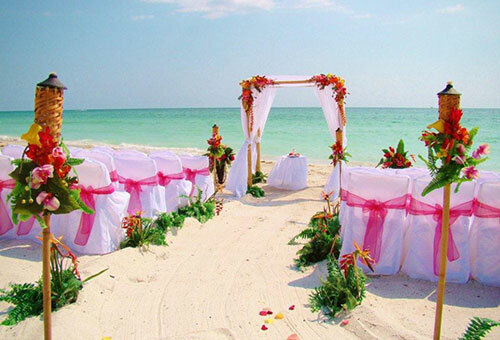 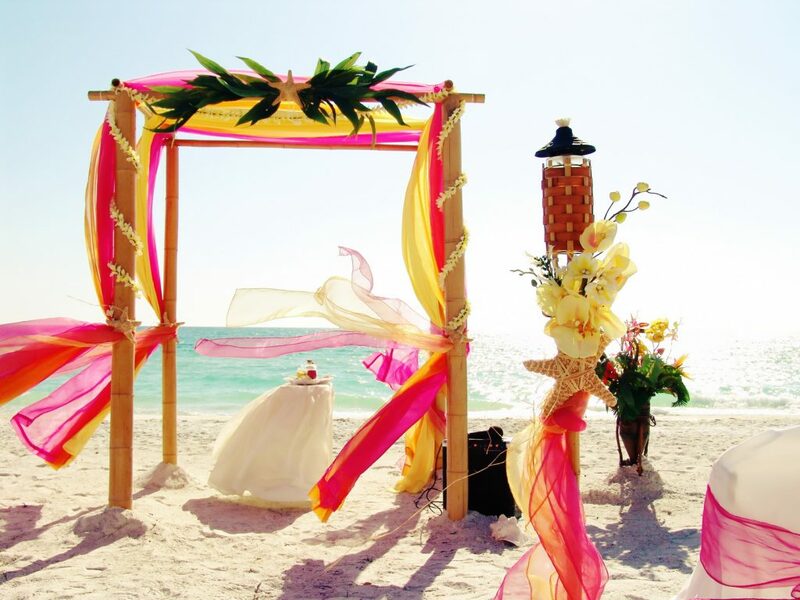 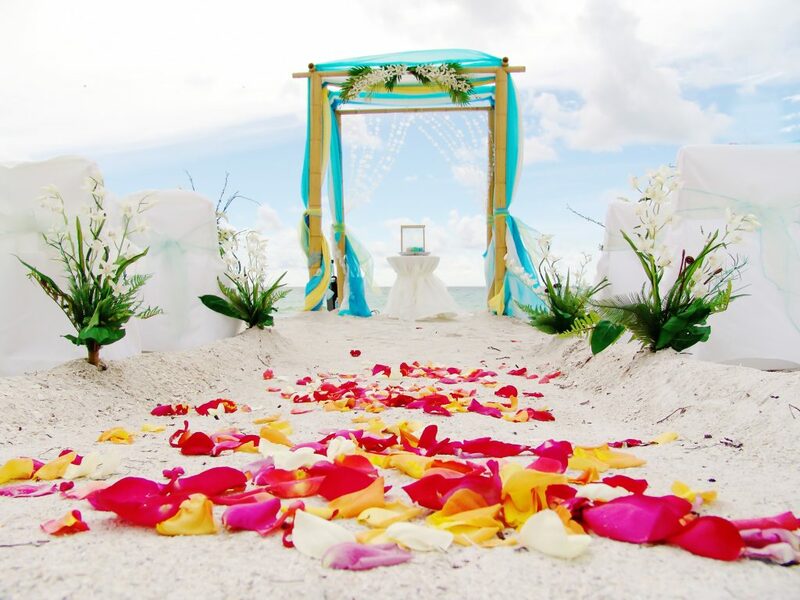 Your ceremony includes the romantic Sand Ceremony with cloth draped table at the altar, a keepsake glass heart jar and various colored sand choices. 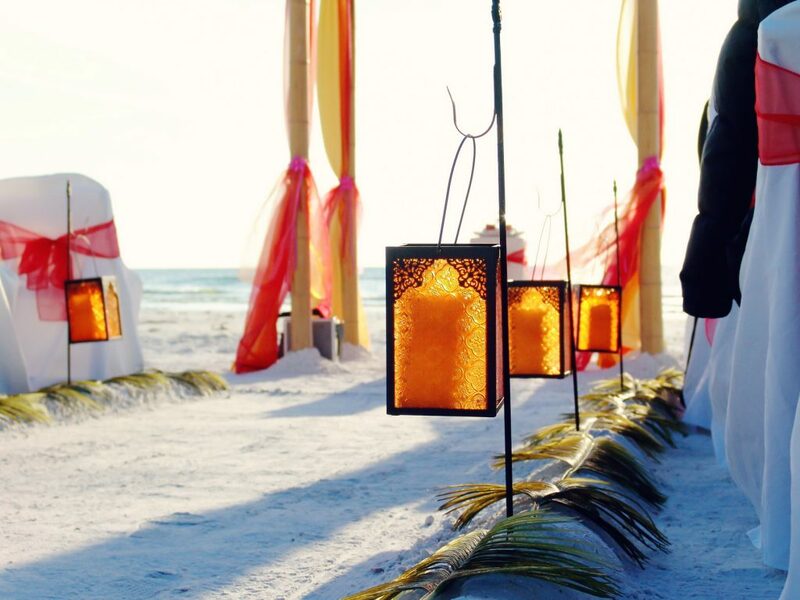 For ceremony only. 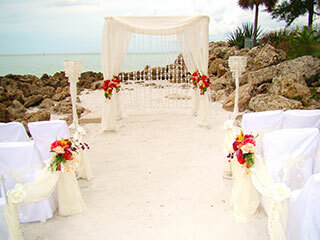 Includes music, introductory video graphics, slo-mo, special effects and editing of the entire ceremony. 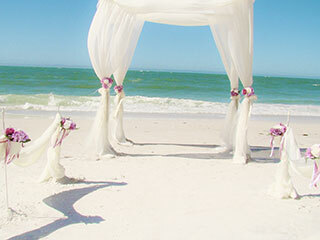 4 Post Deluxe bridal Canopy from our Deluxe Décor Selections: Click Here for your many Decor options! 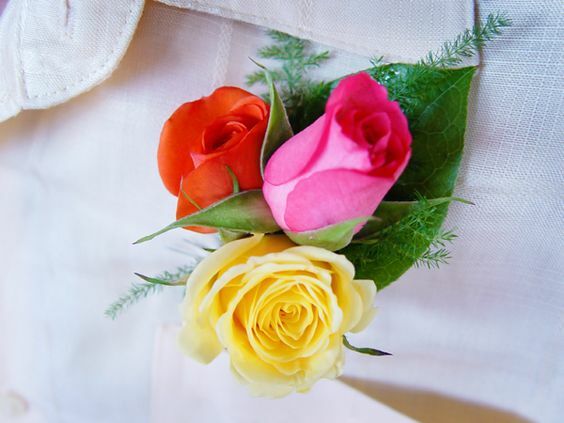 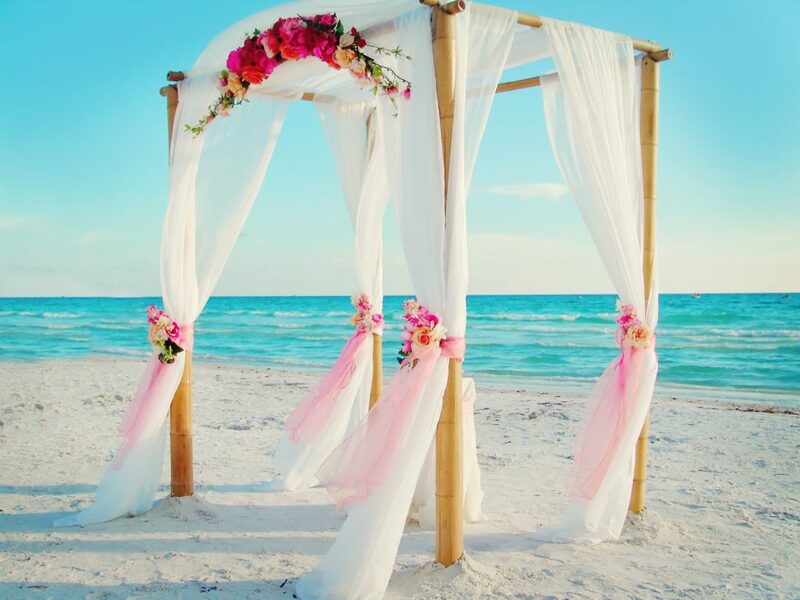 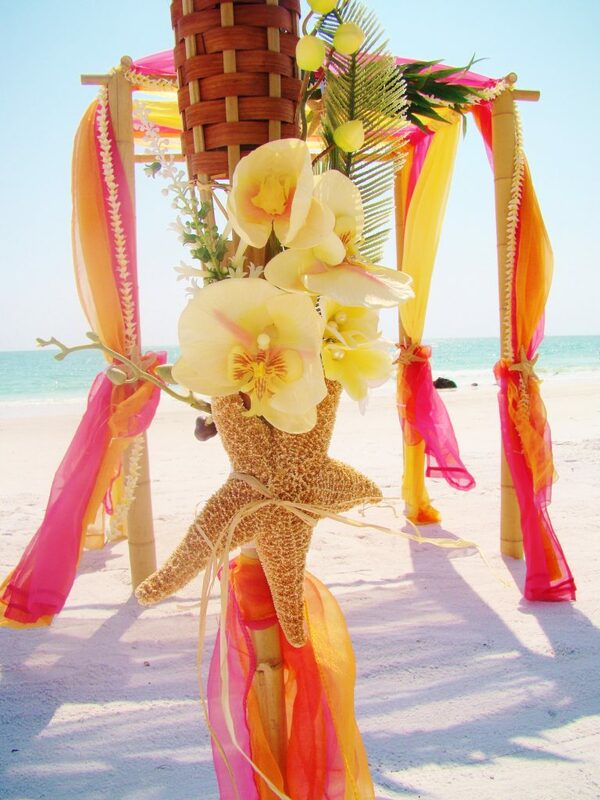 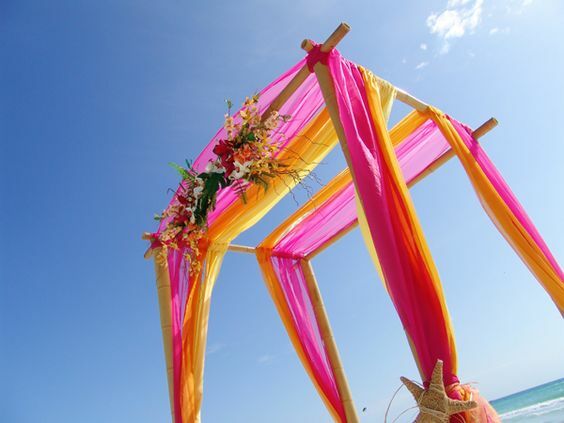 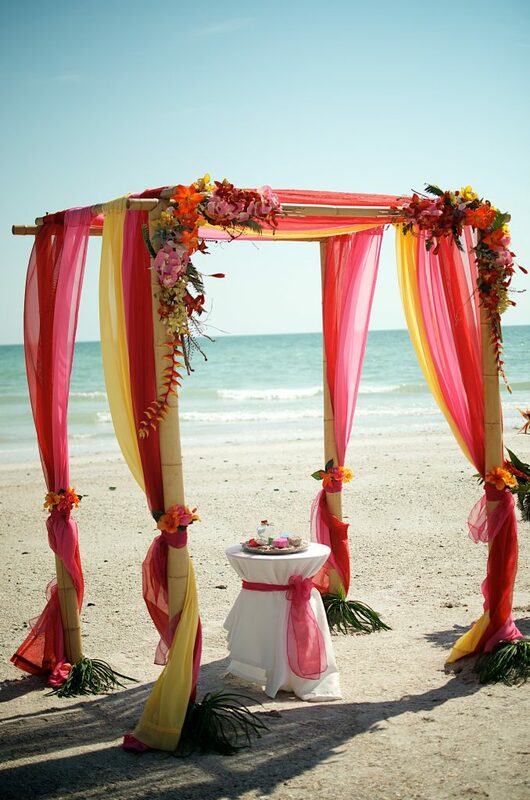 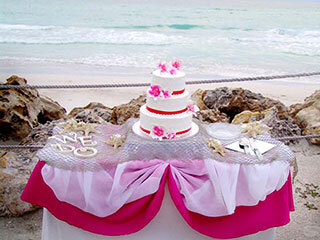 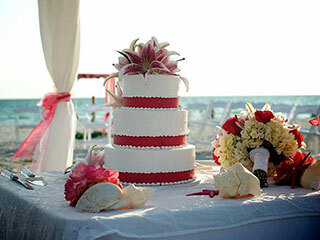 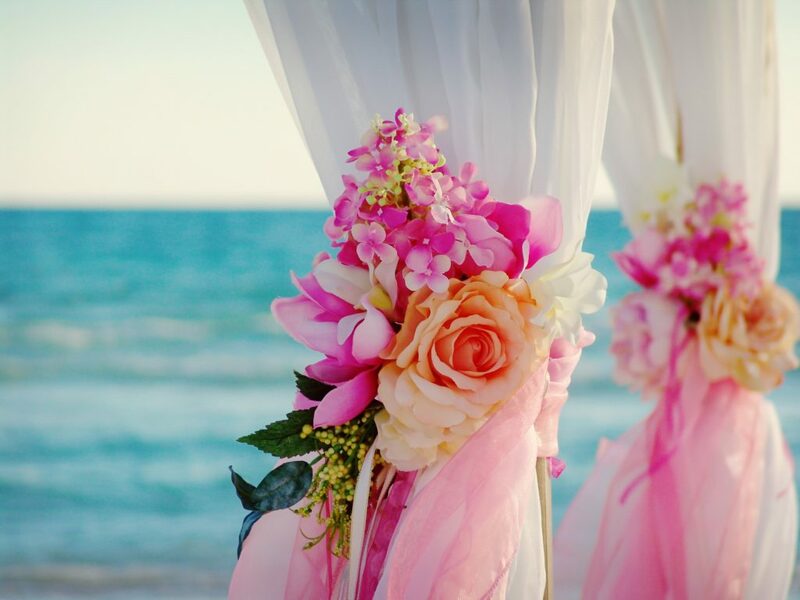 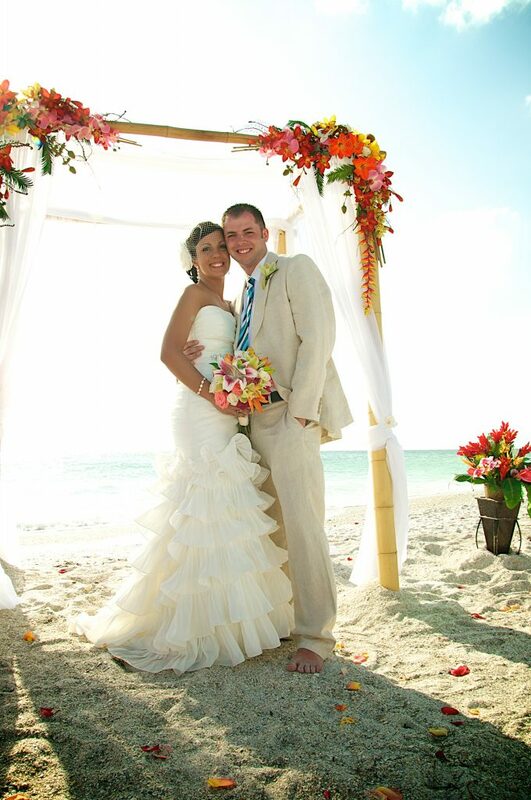 Your choice of wedding canopy floral attachment from our Deluxe Décor Selections. 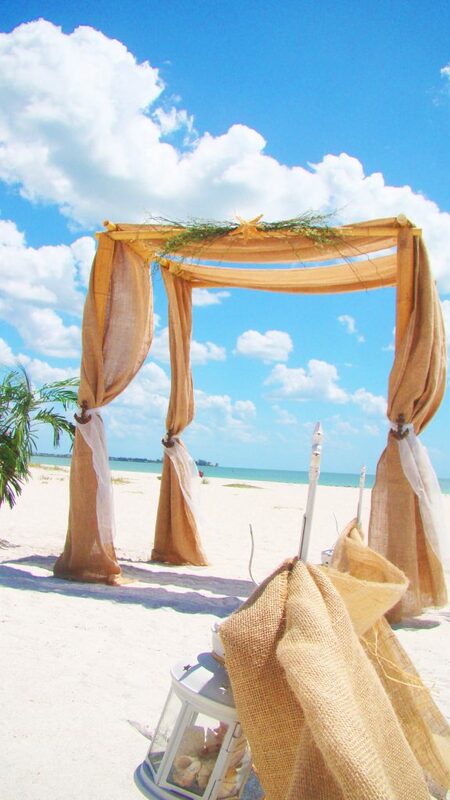 Choice of any our colored Fabric colors or burlap for your Bridal canopy. 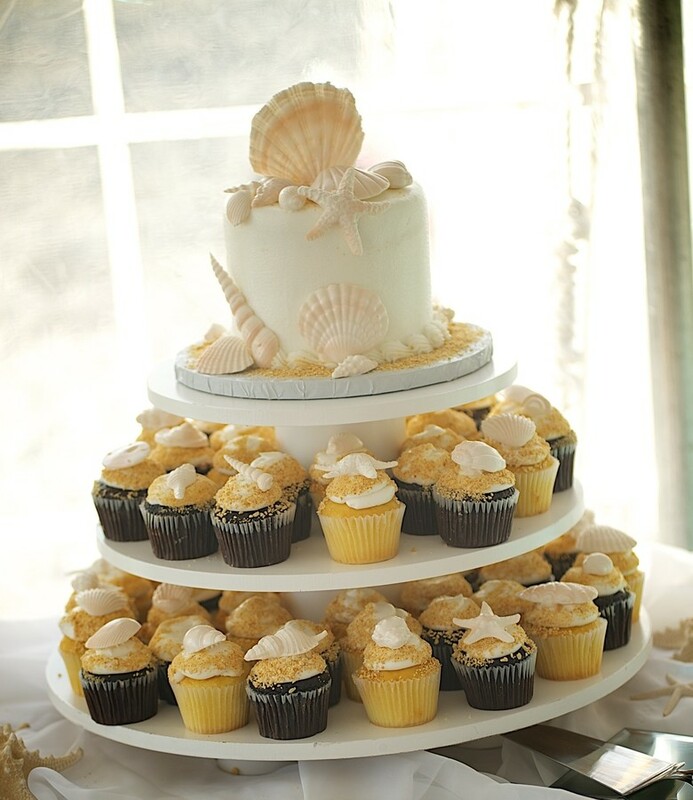 The King Neptune package may not be available on weekends during high season. 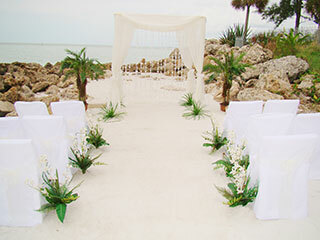 Please inquire about availability.